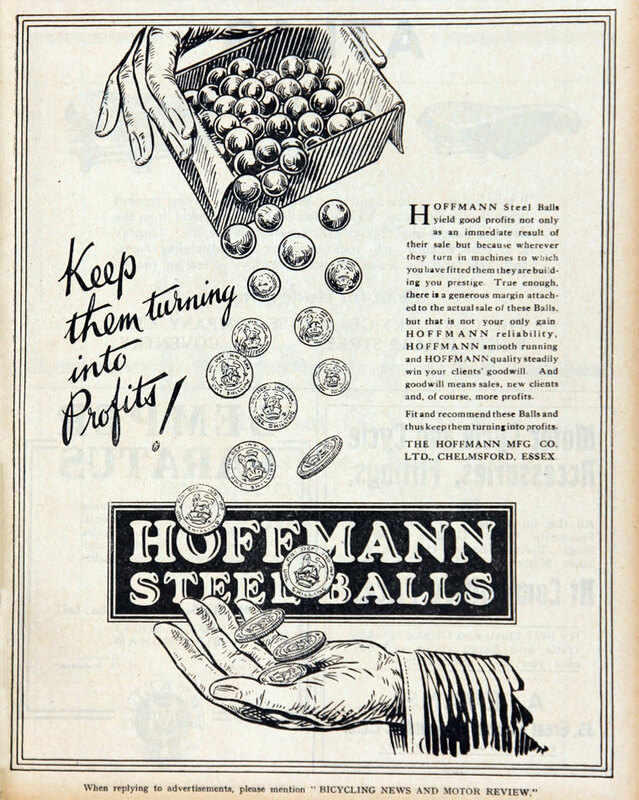 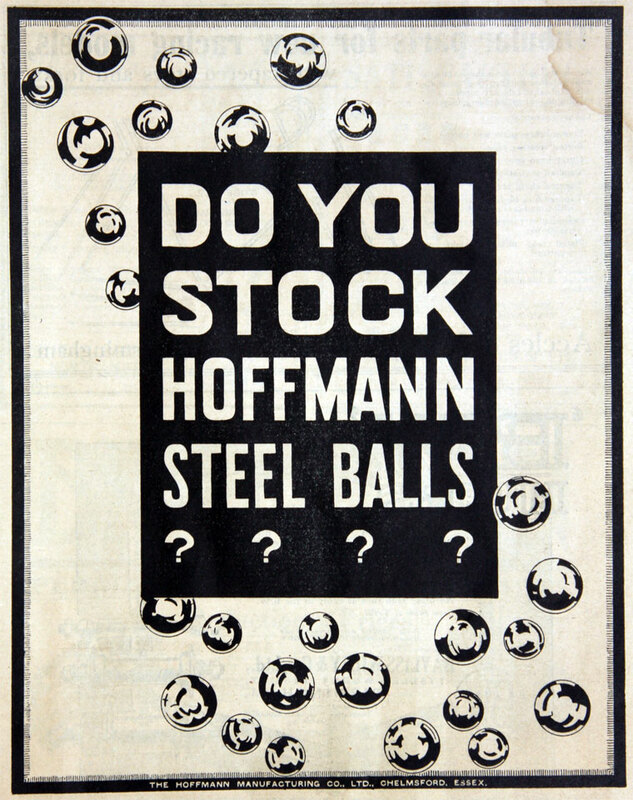 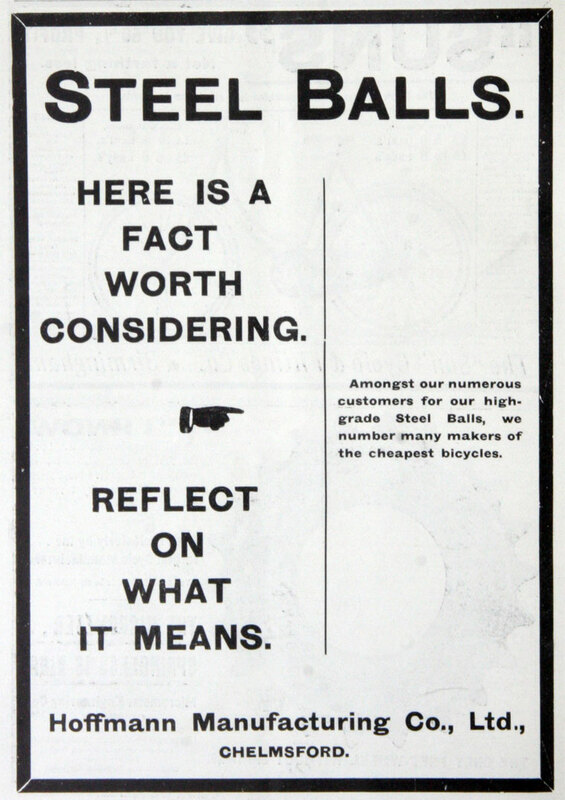 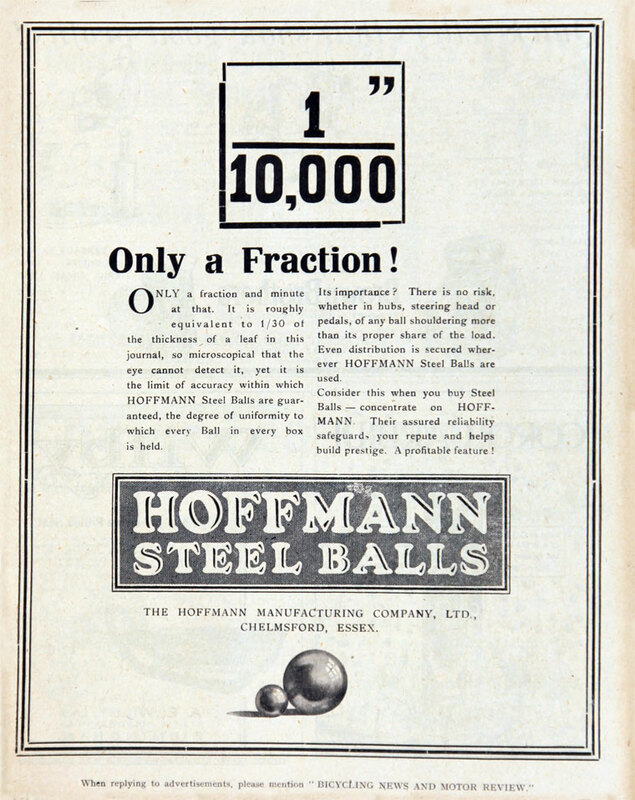 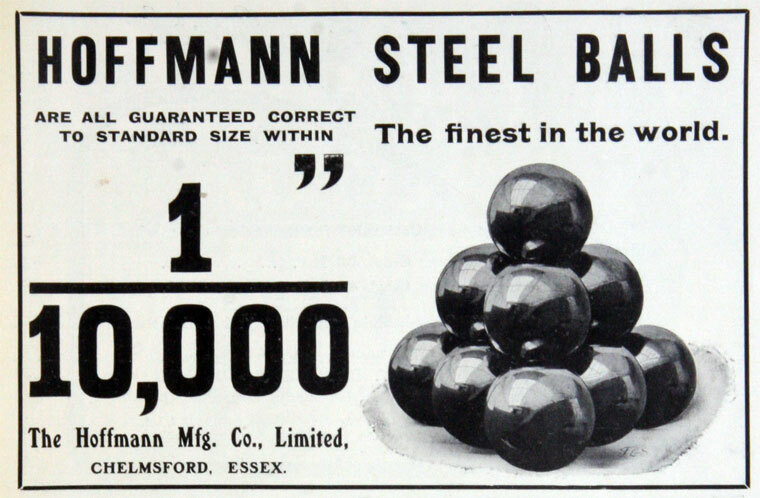 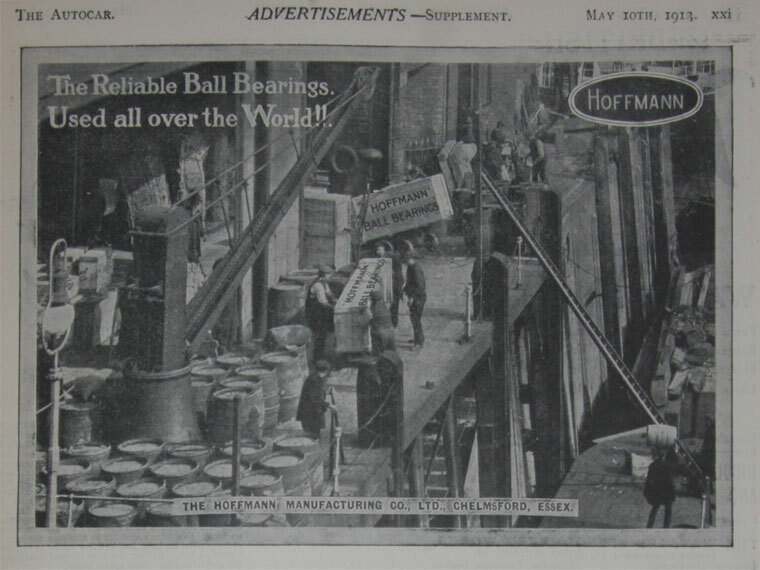 1898 Public company formed to acquire from Mr E. G. Hoffmann of USA certain patent rights connected with the manufacture of steel balls. 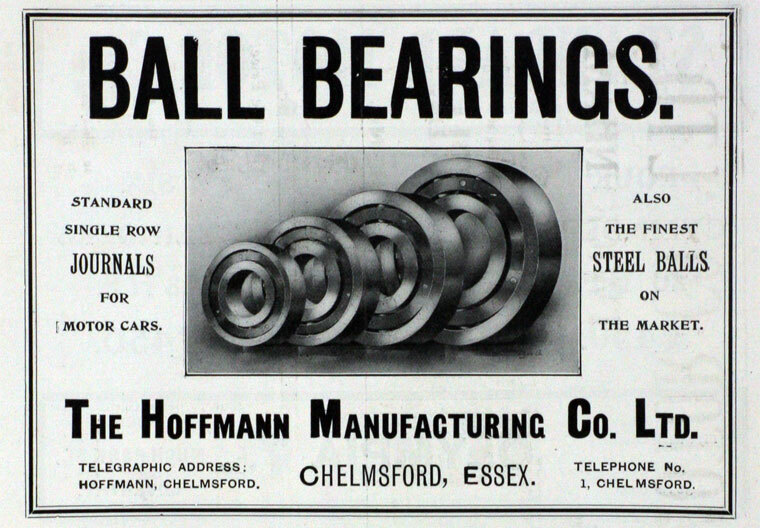 1898 Built works at New Street, Chelmsford. 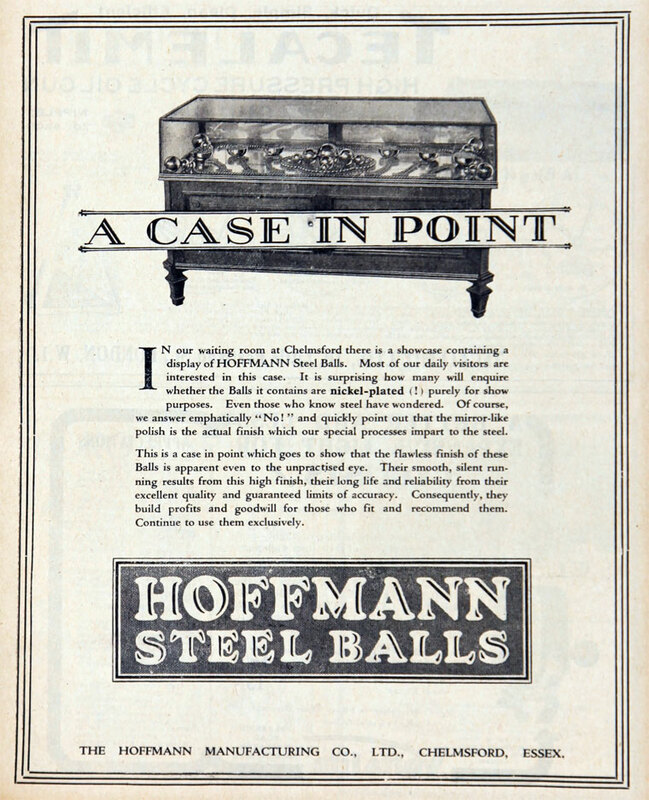 The first single story building was erected on a 4-acre site. 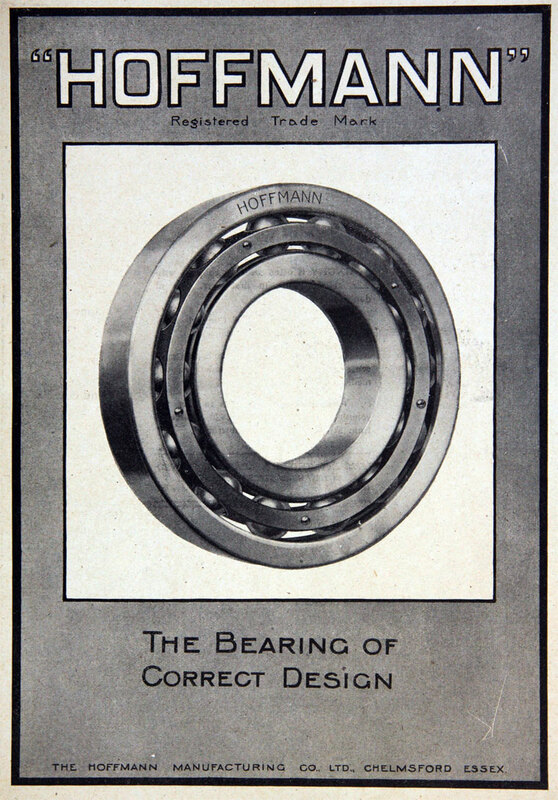 1901 Single thrust bearing patented. 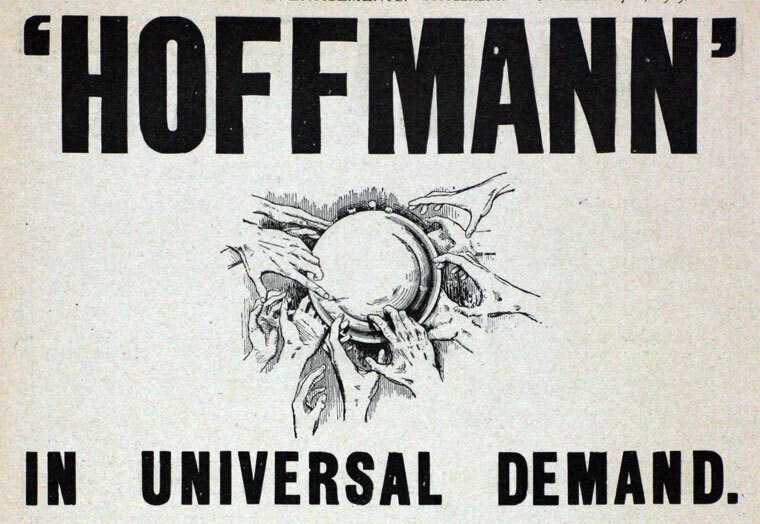 1903 Hoffmann left the company. 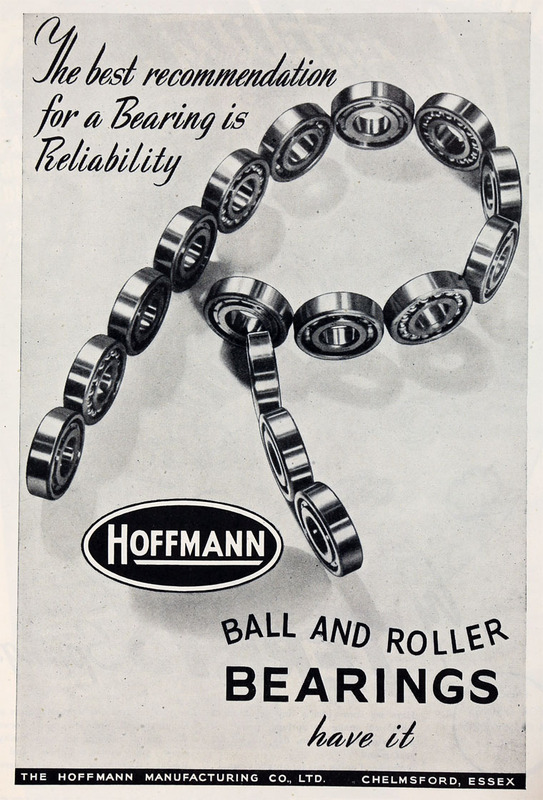 Ball and roller bearings and steel rollers were added to the company's product portfolio. 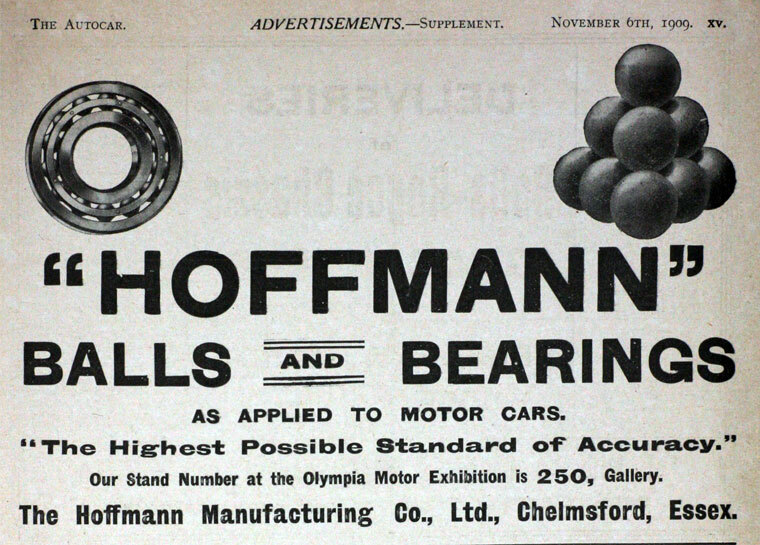 1911 Electrical Exhibition. 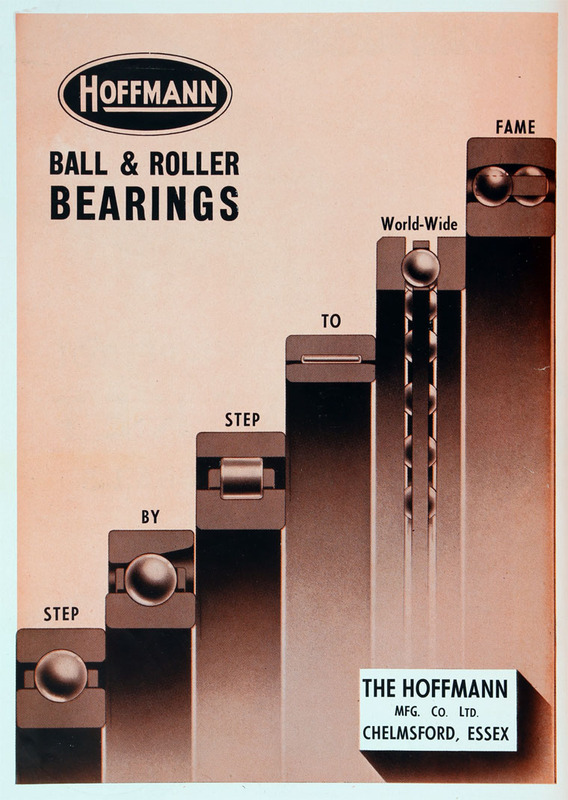 Ball and roller bearings. 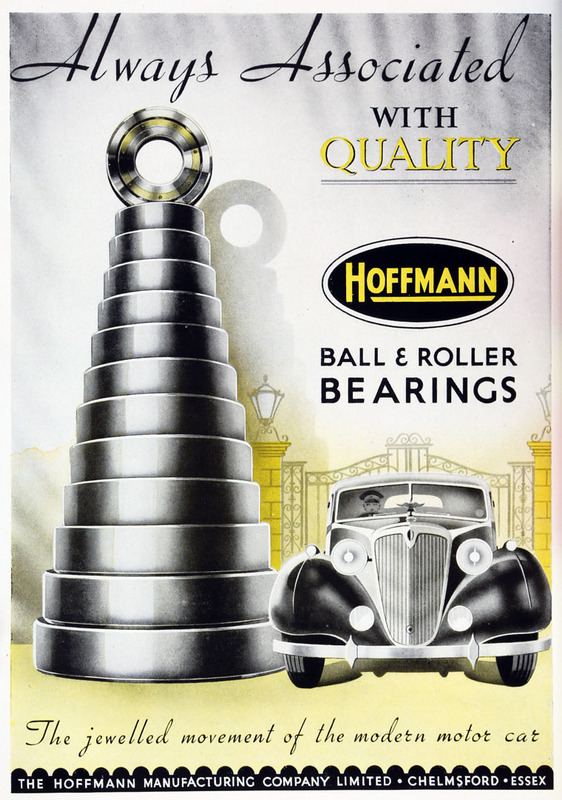 1937 Manufacturers of ball and roller bearings, steel balls and steel rollers. 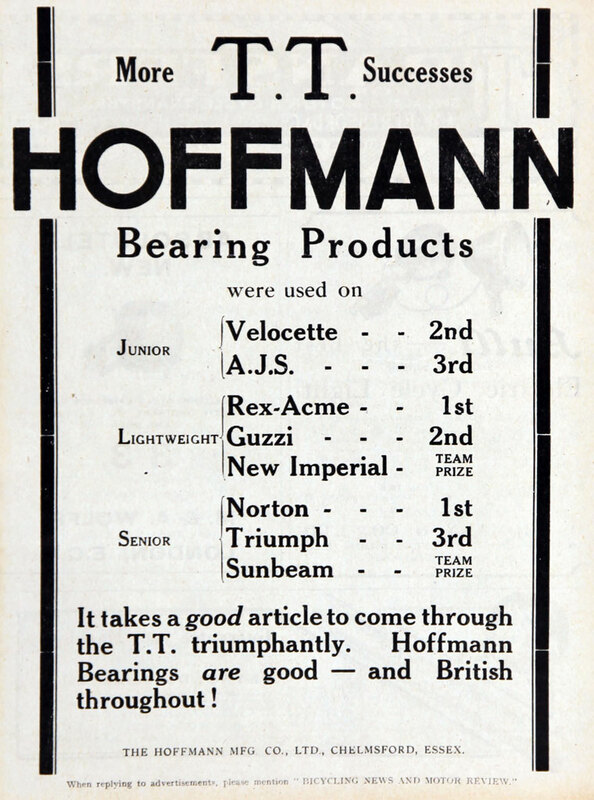 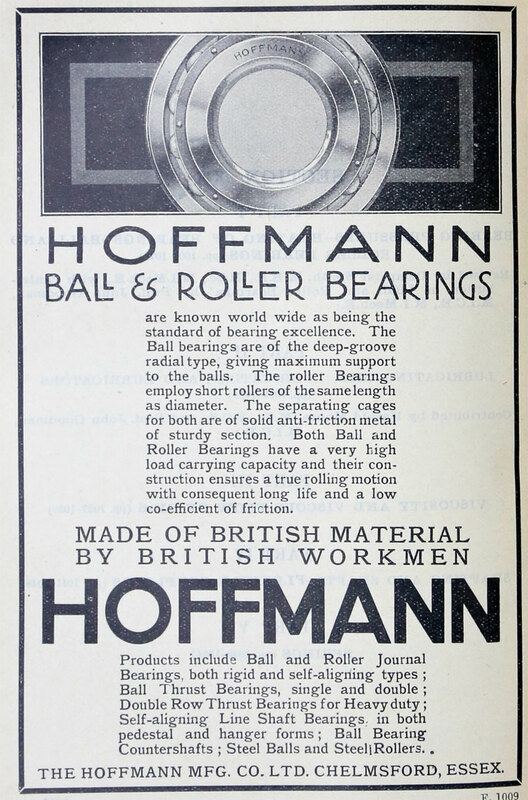 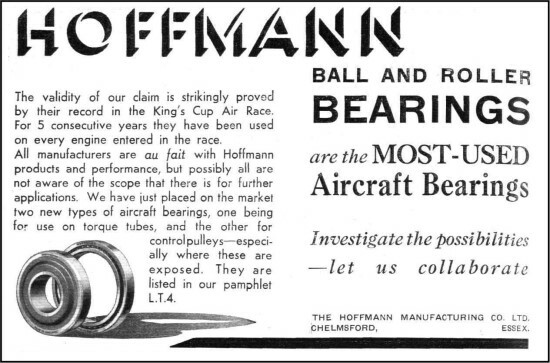 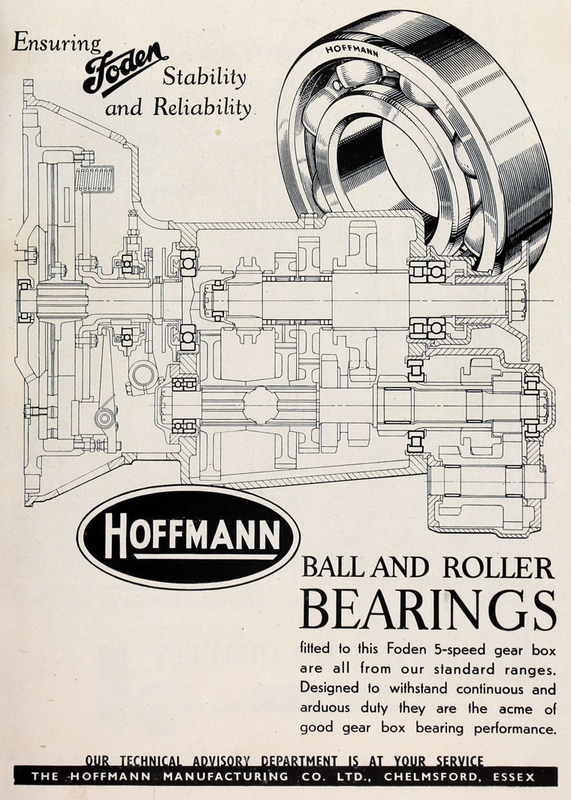 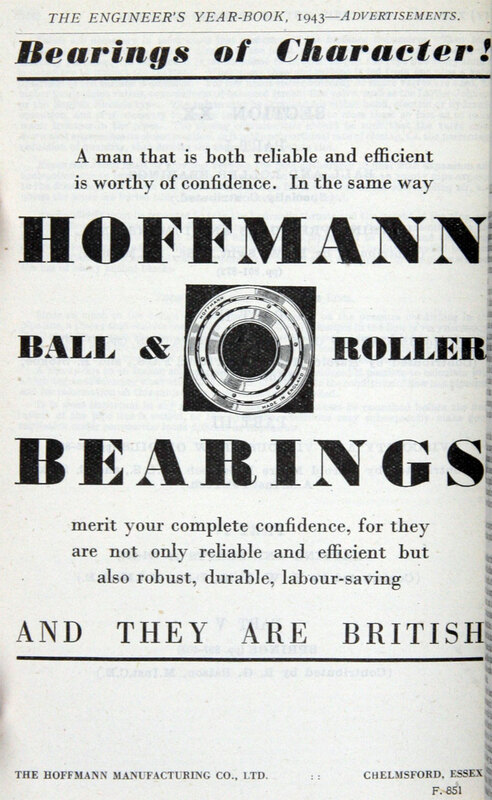 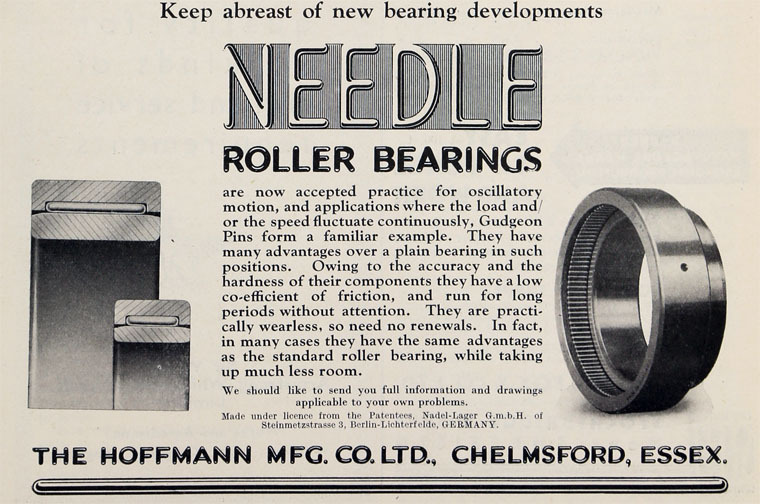 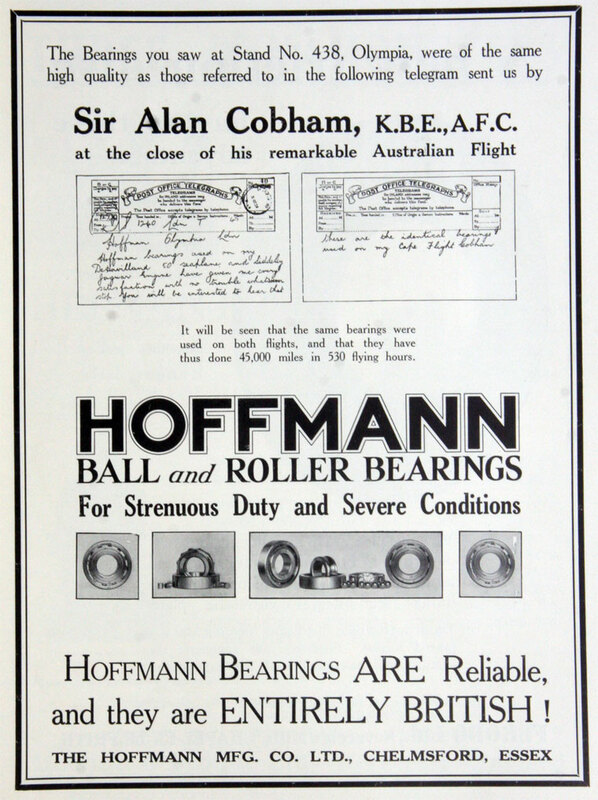 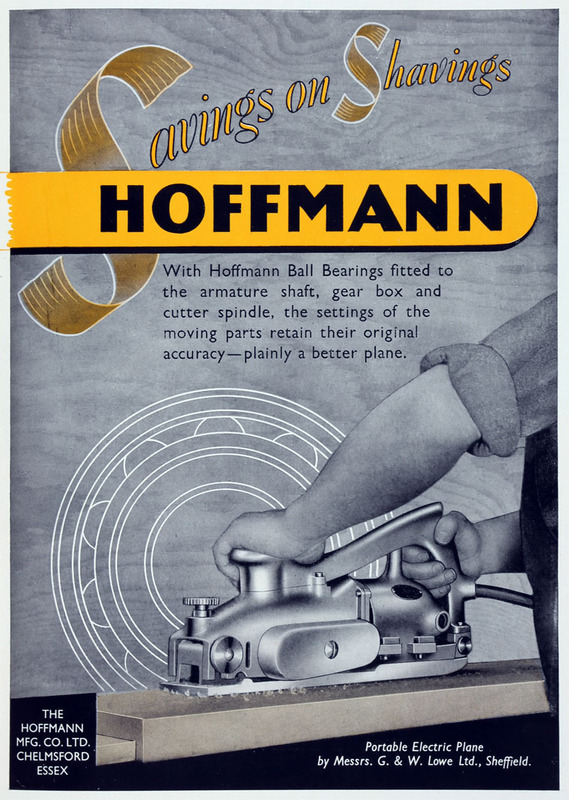 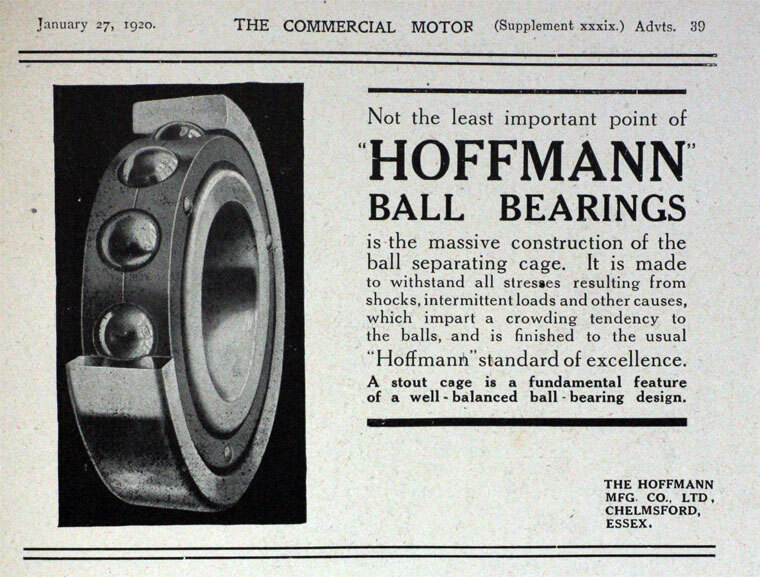 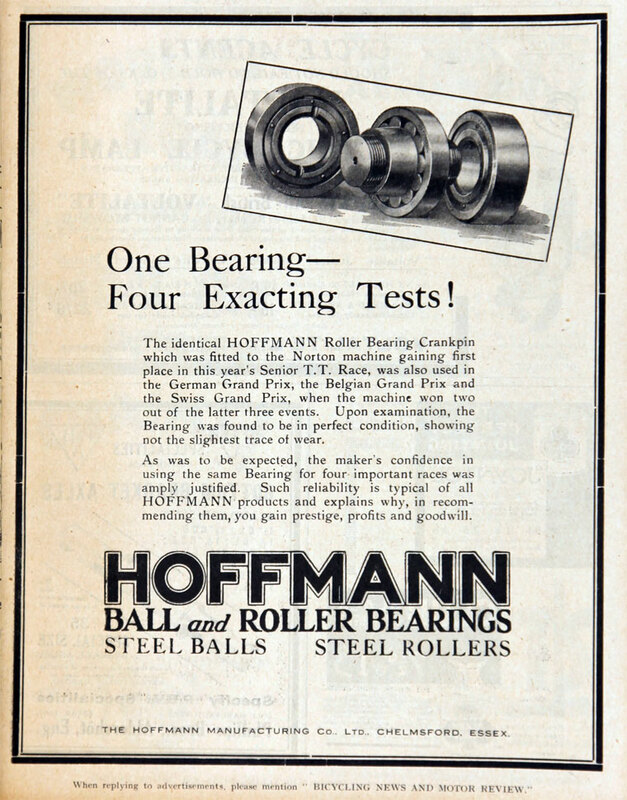 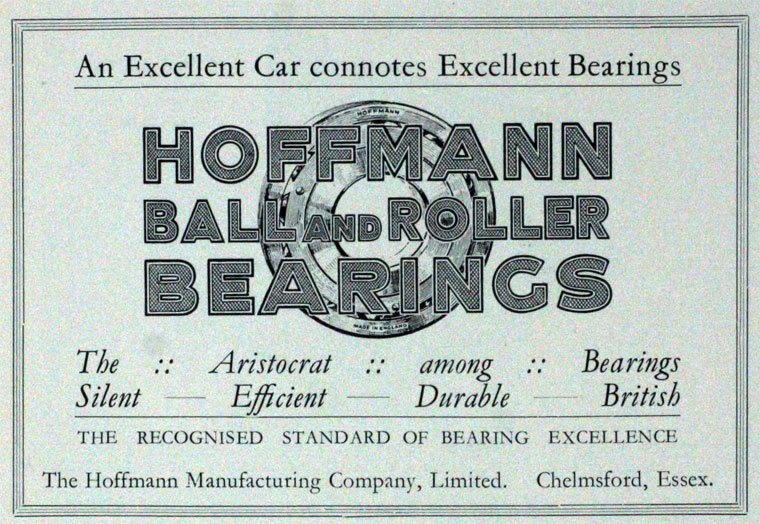 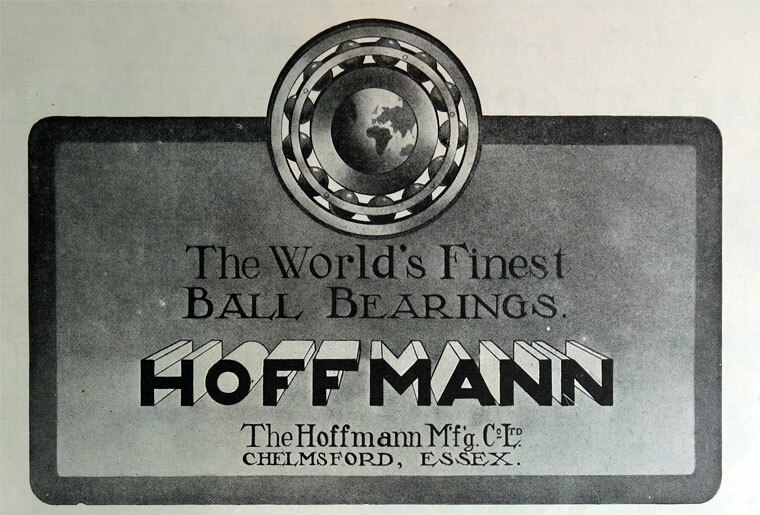 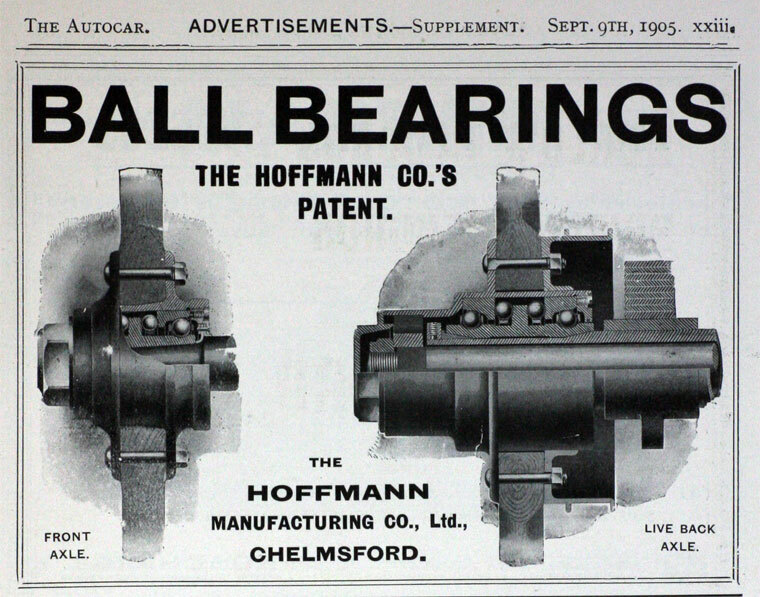 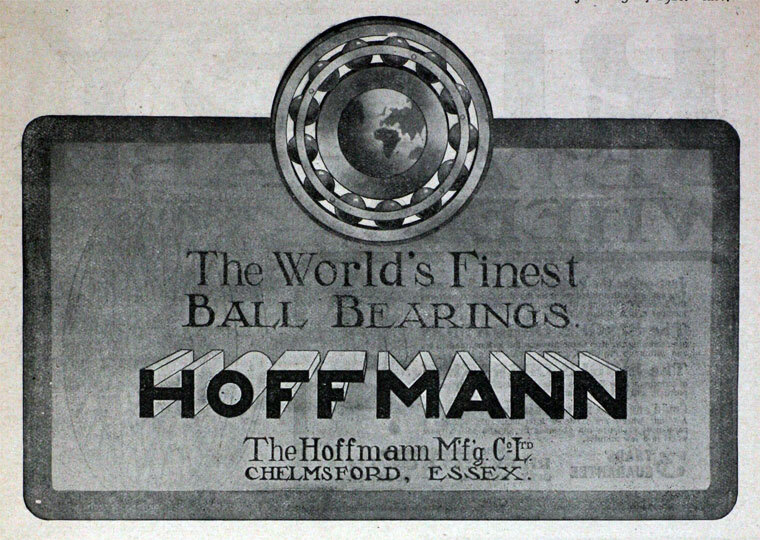 "Hoffmann" Ball and Roller Bearings. 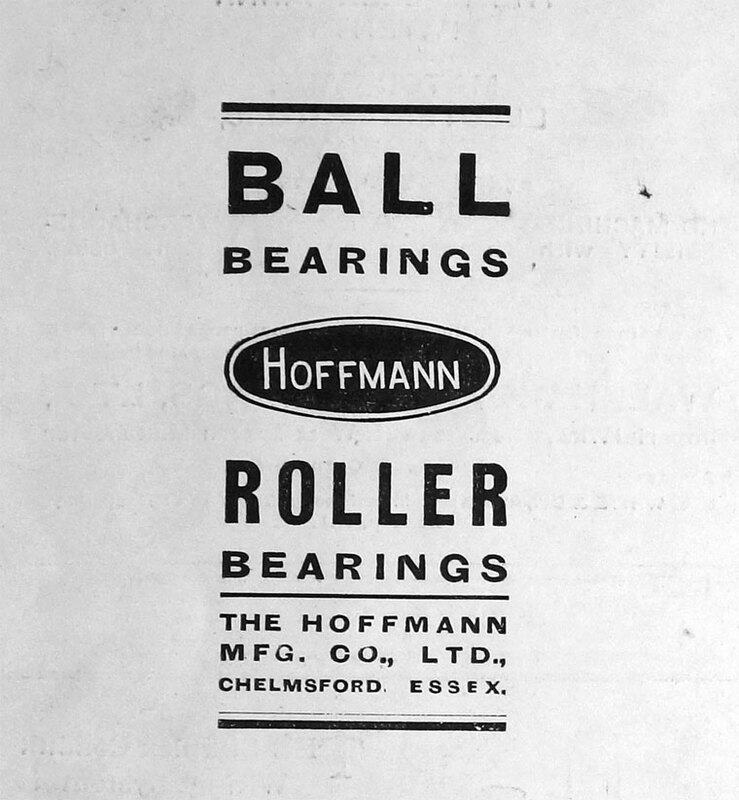 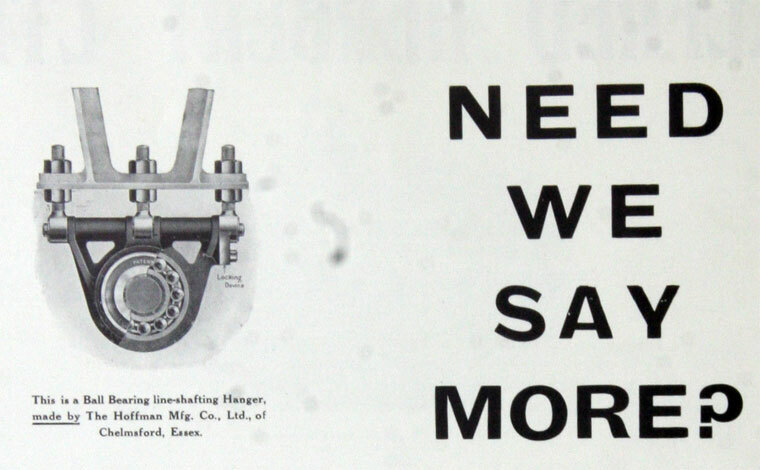 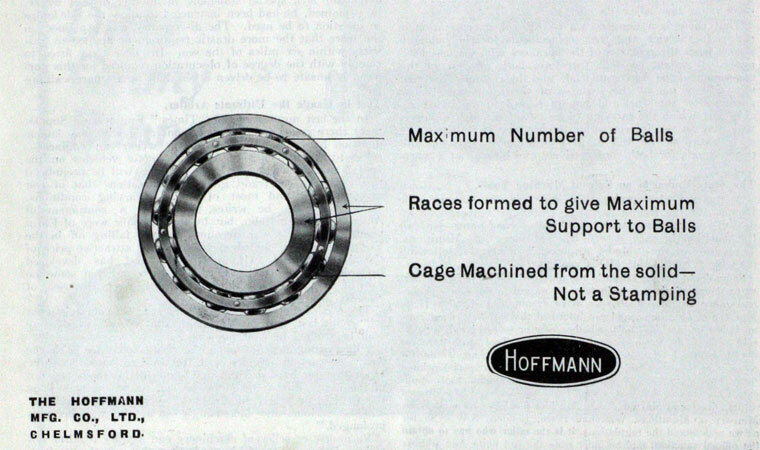 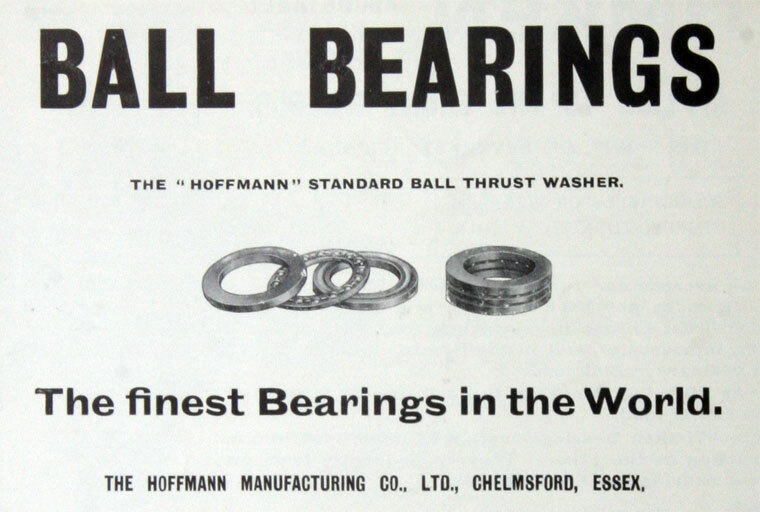 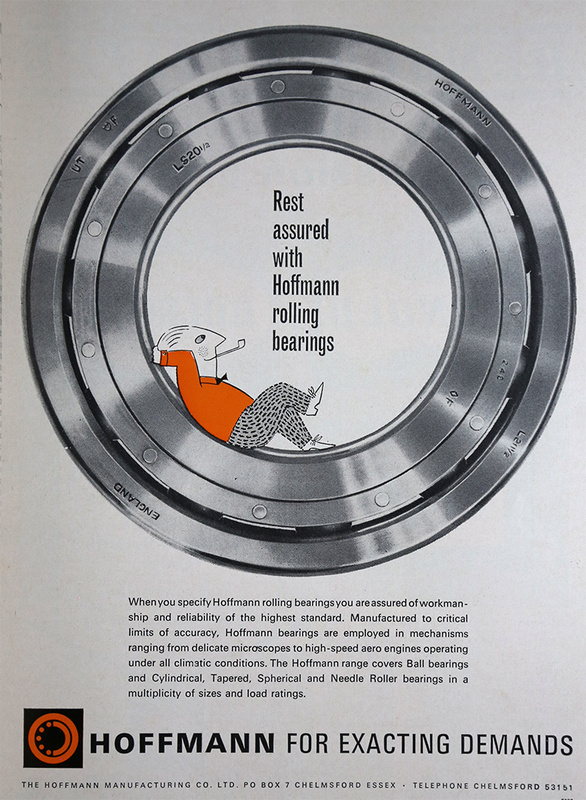 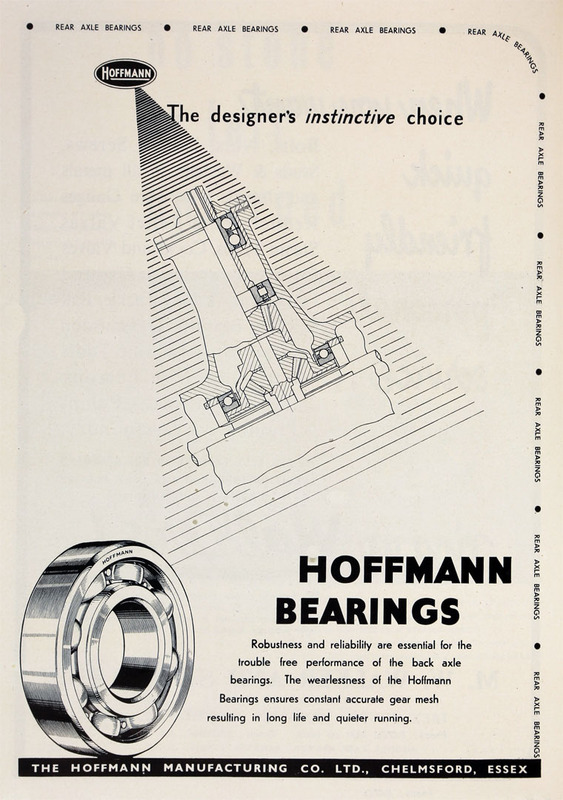 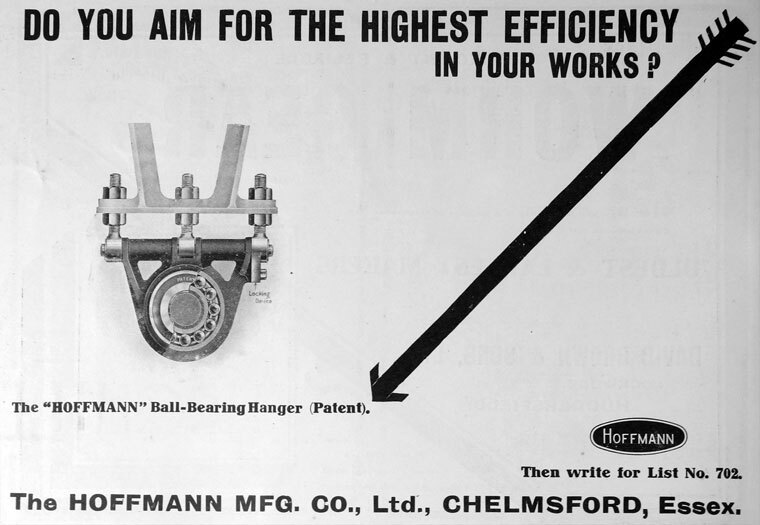 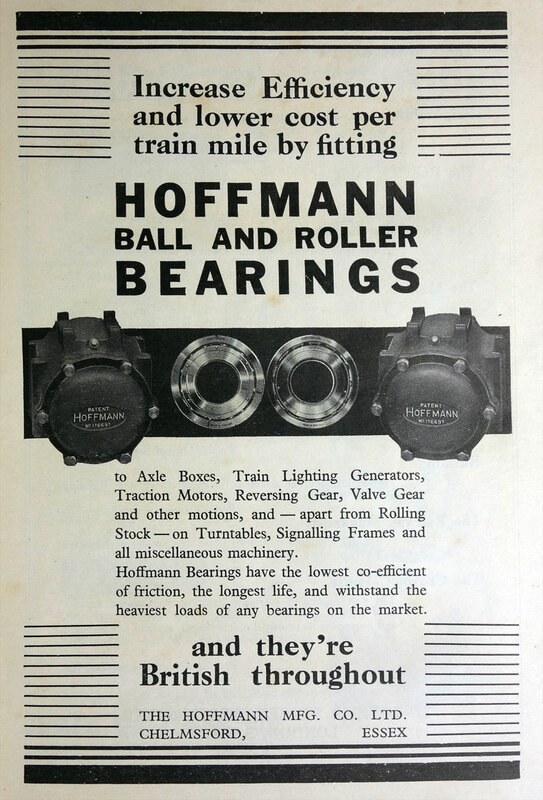 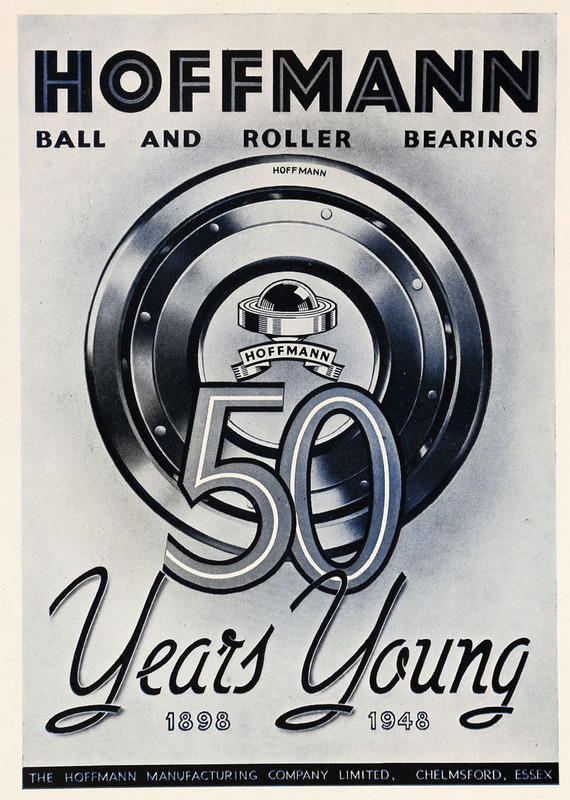 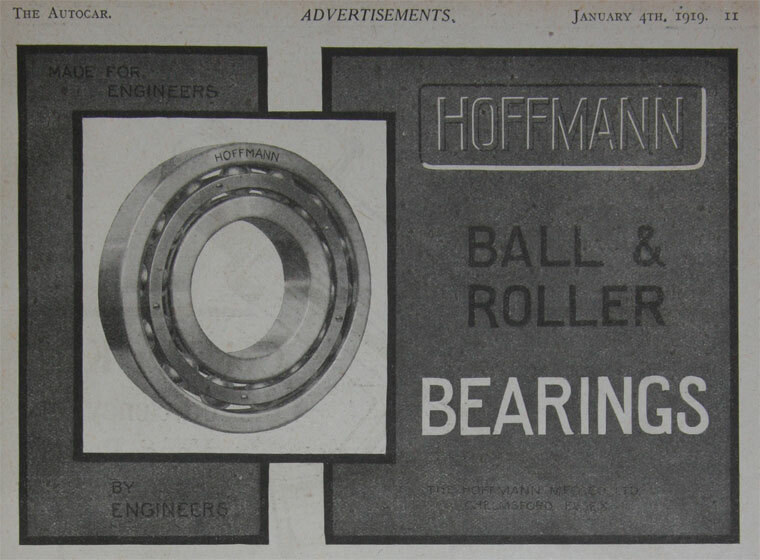 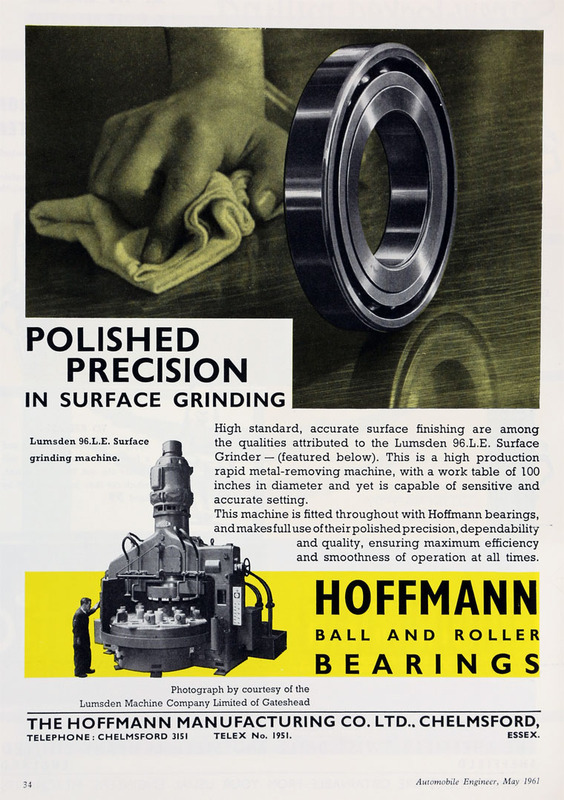 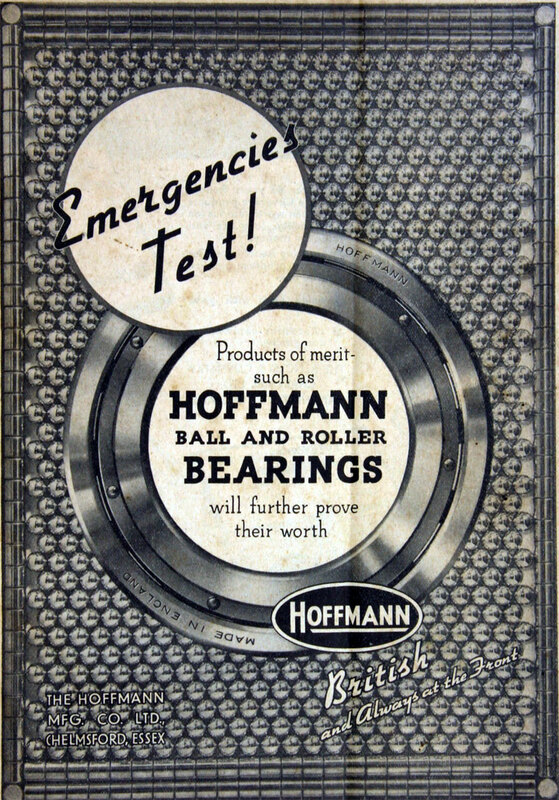 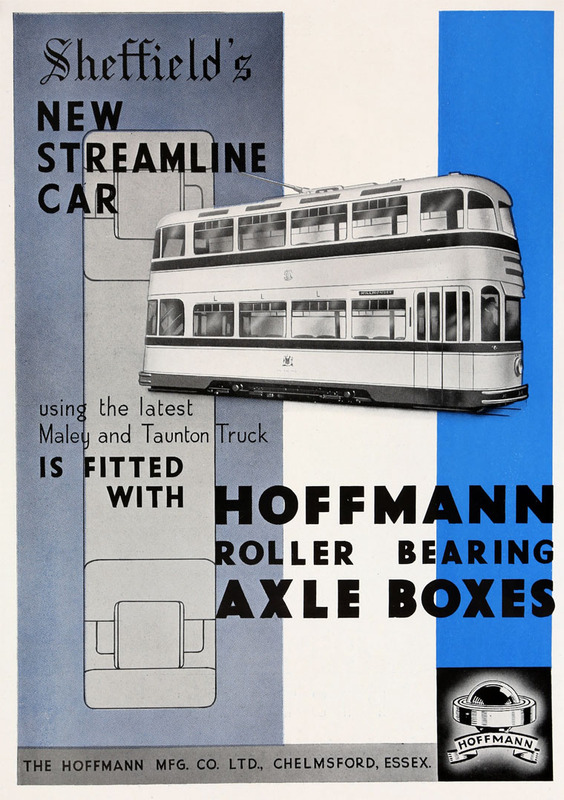 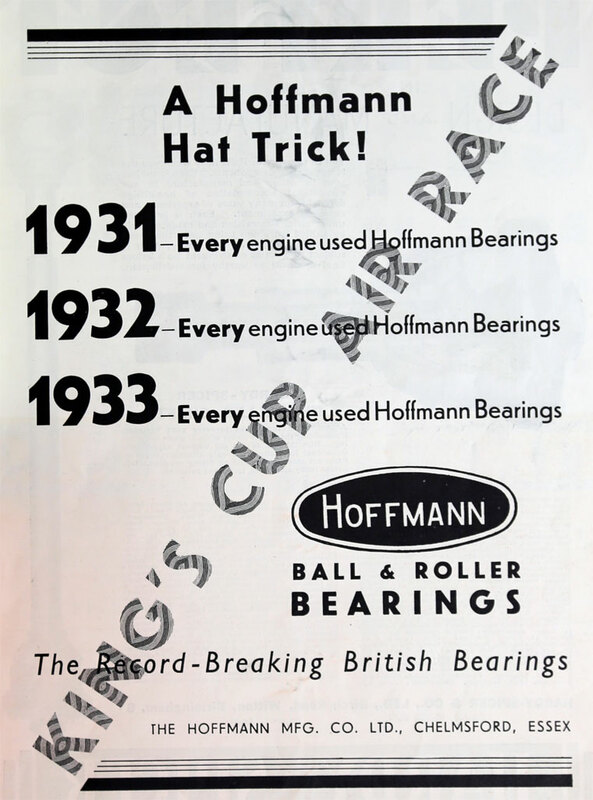 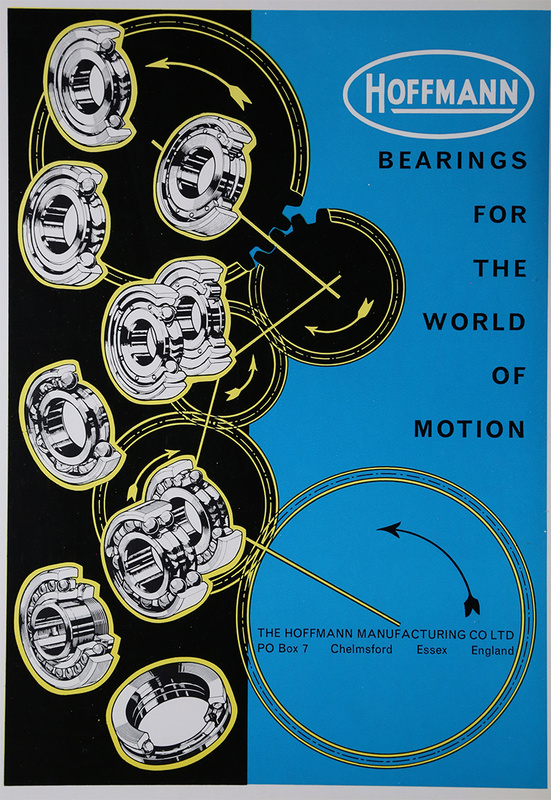 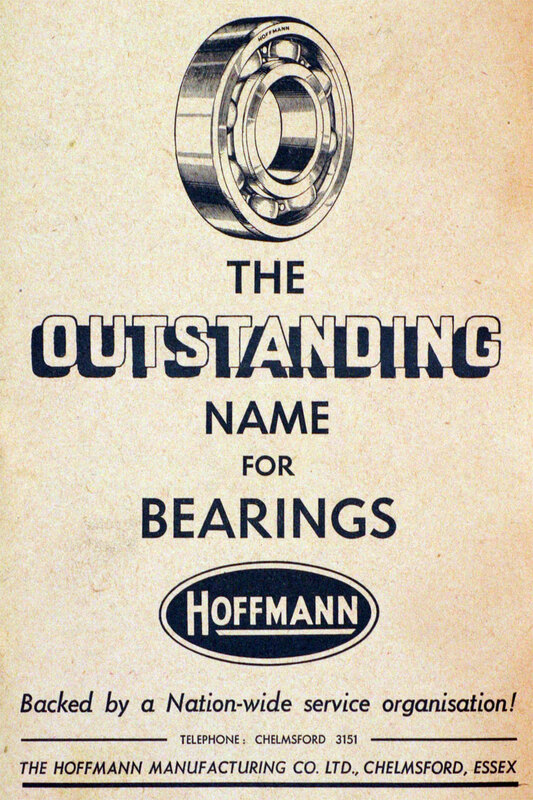 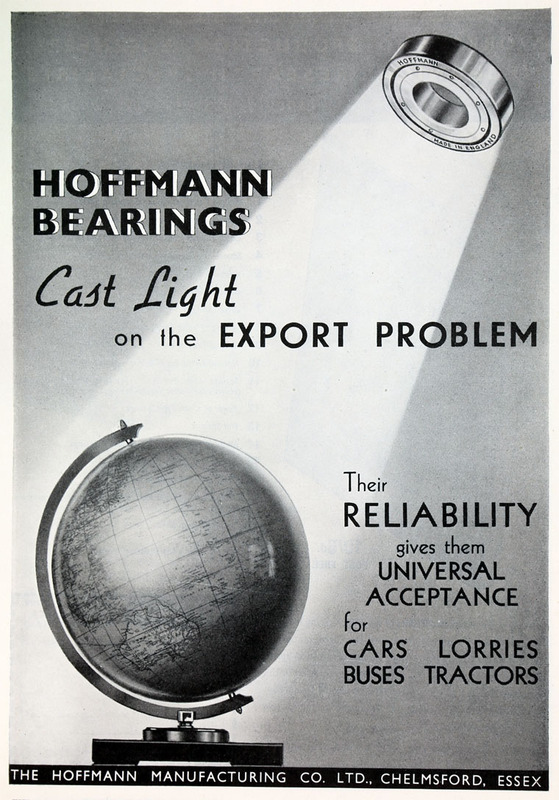 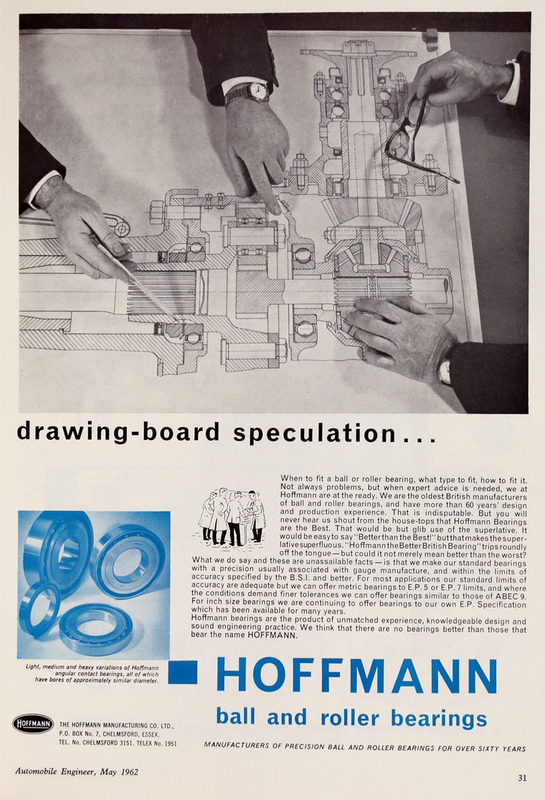 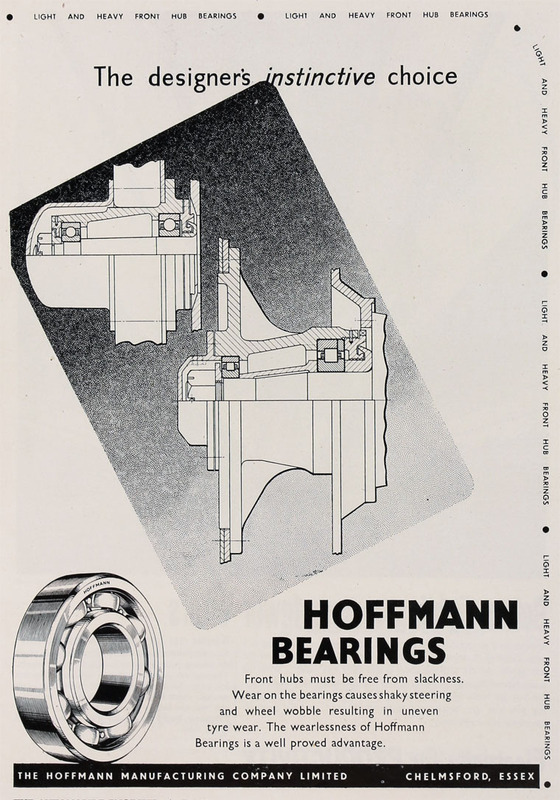 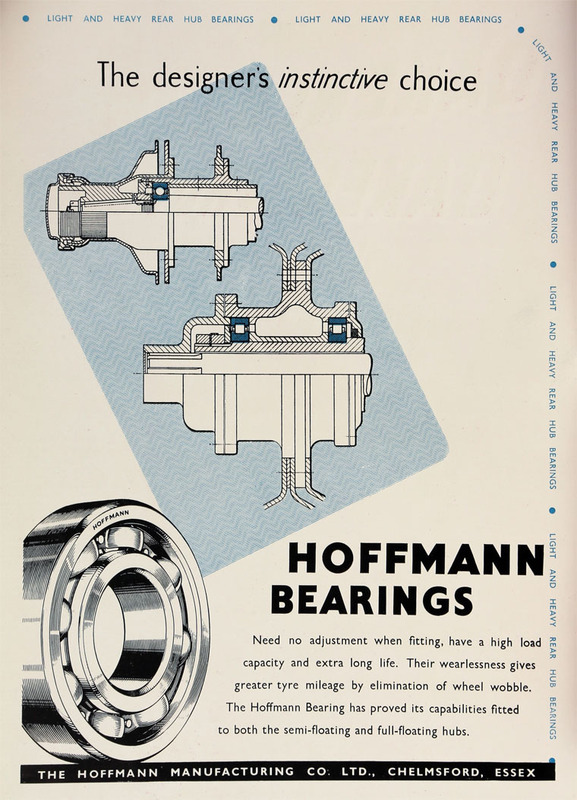 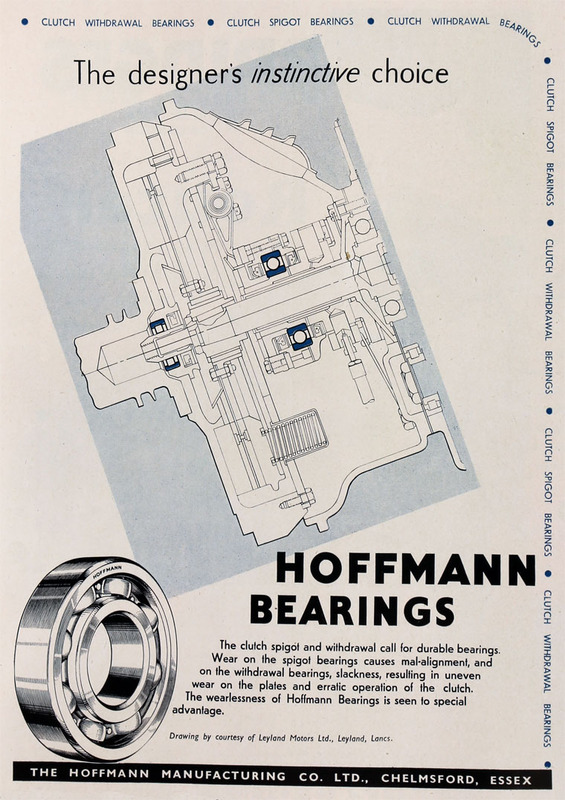 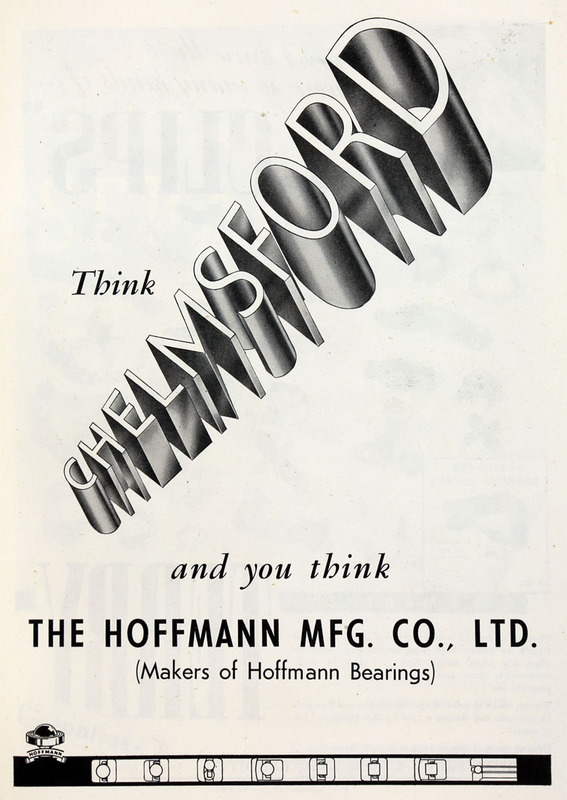 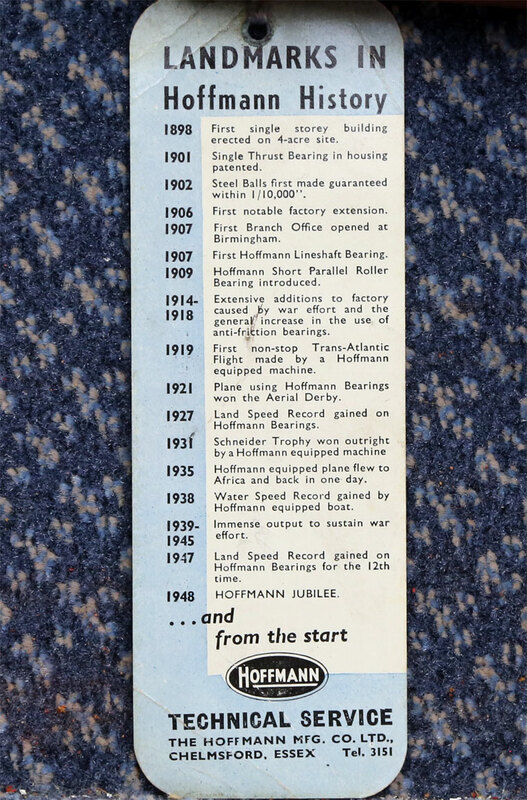 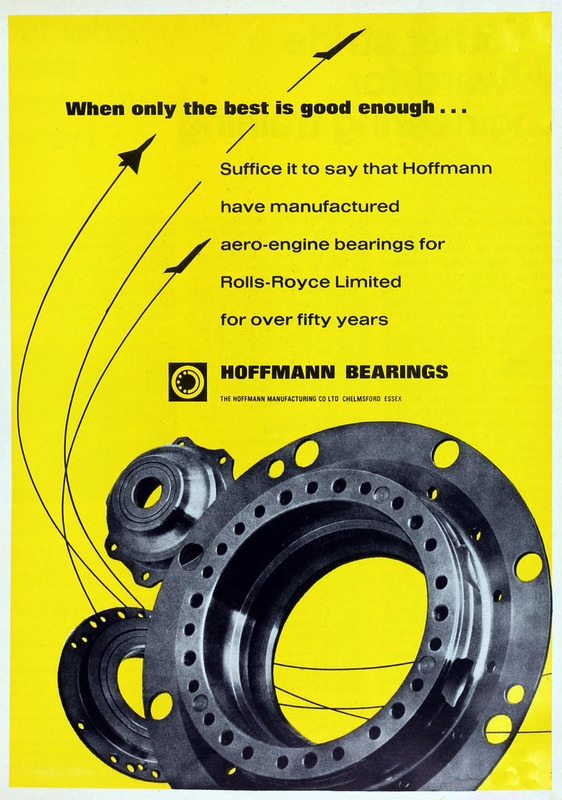 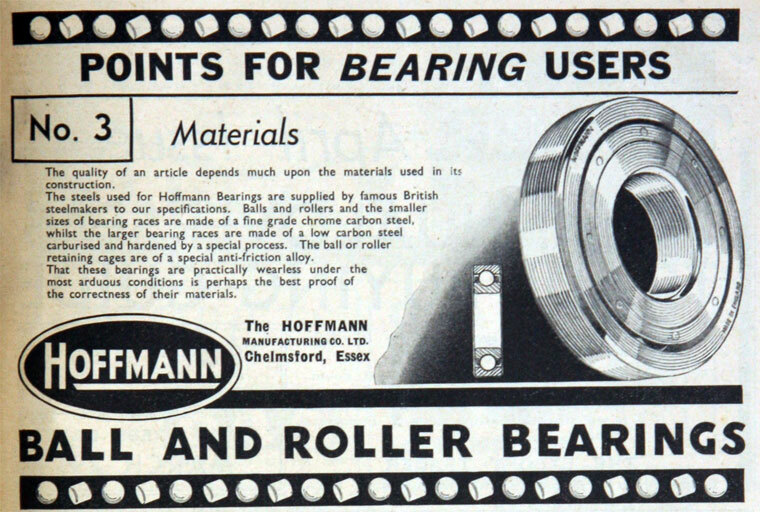 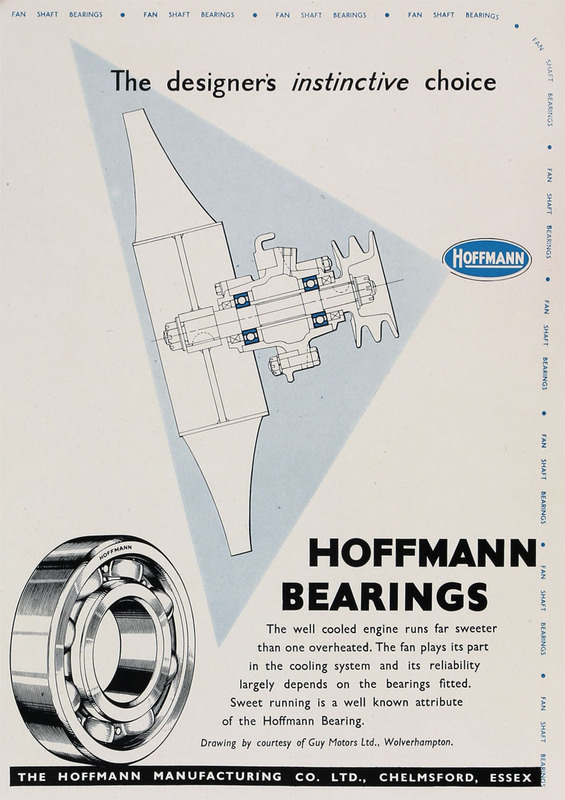 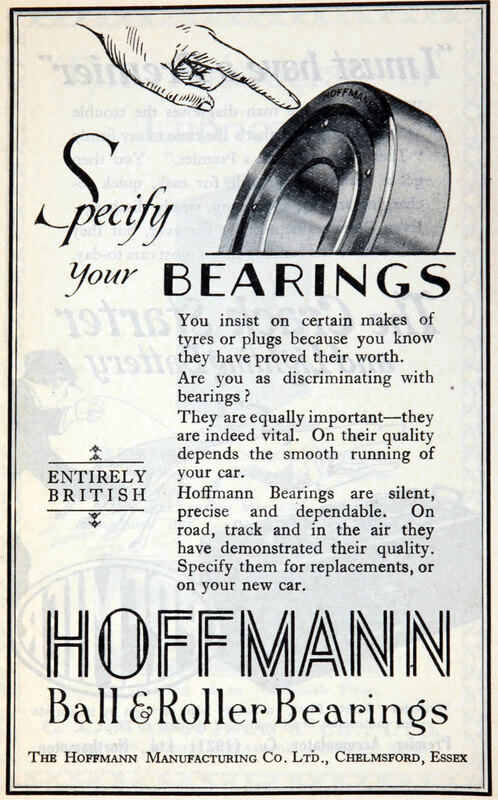 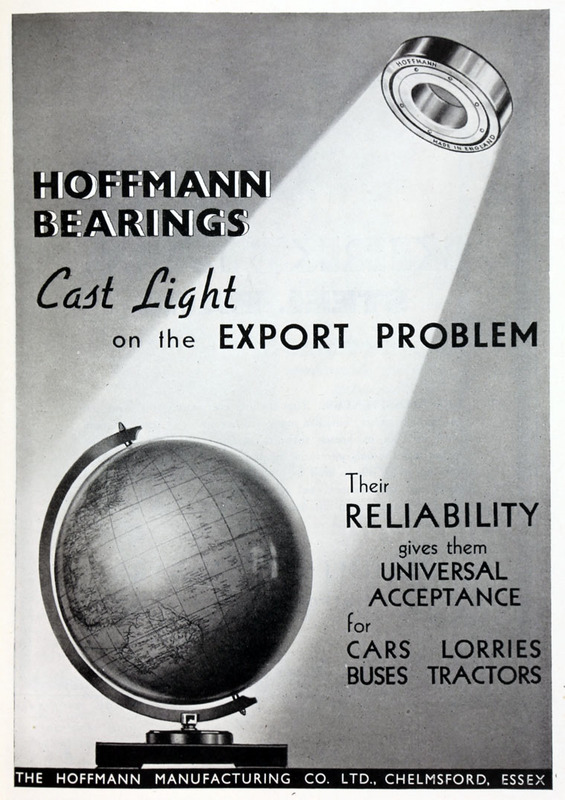 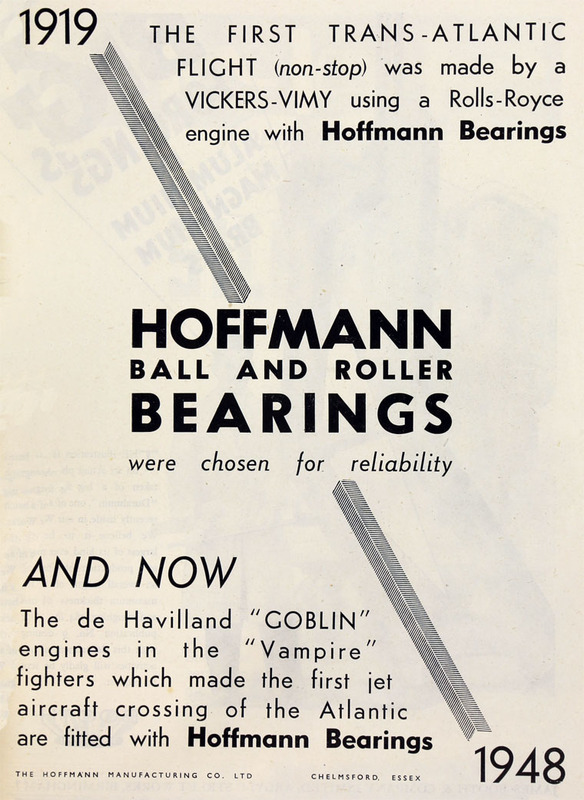 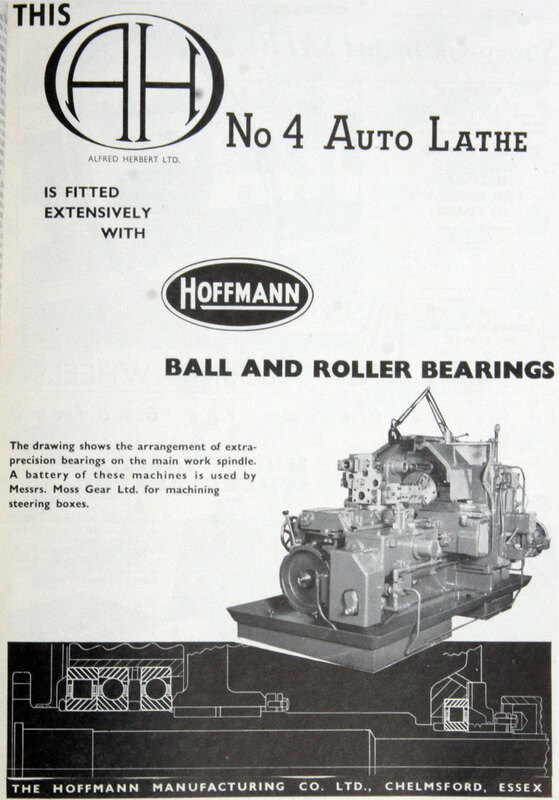 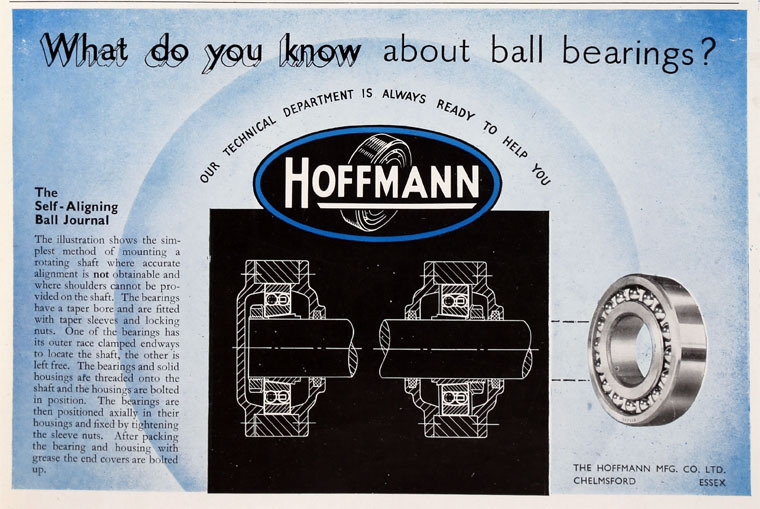 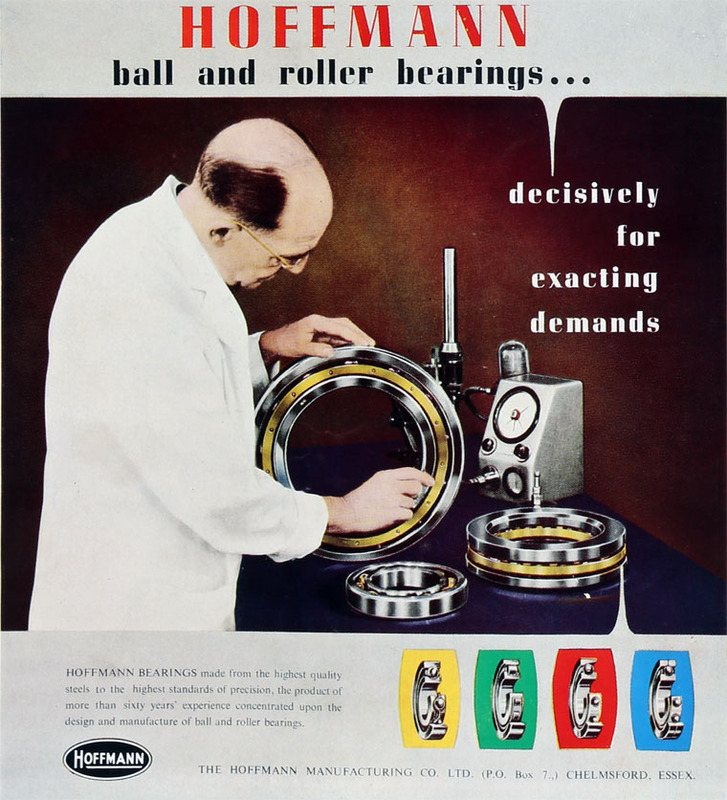 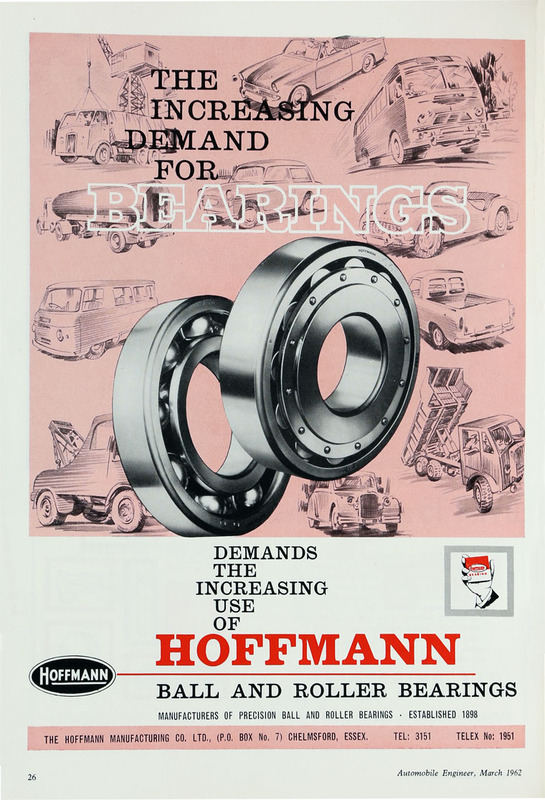 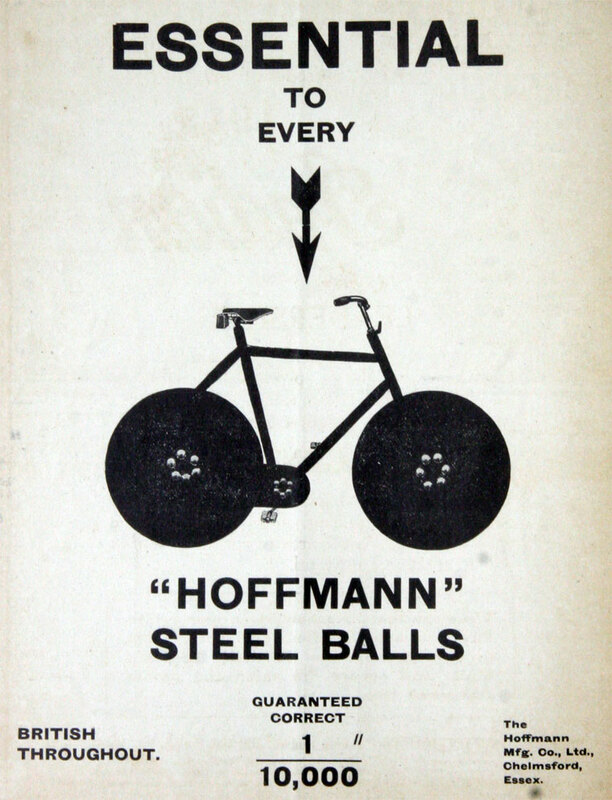 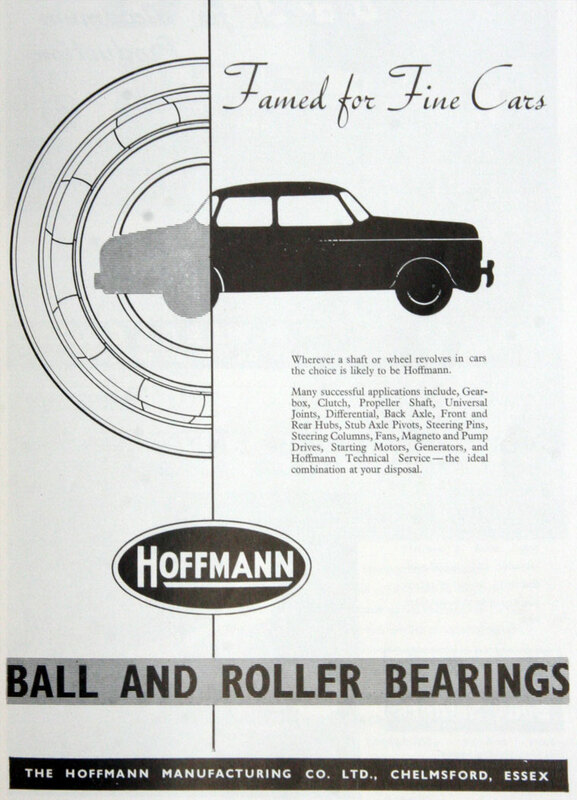 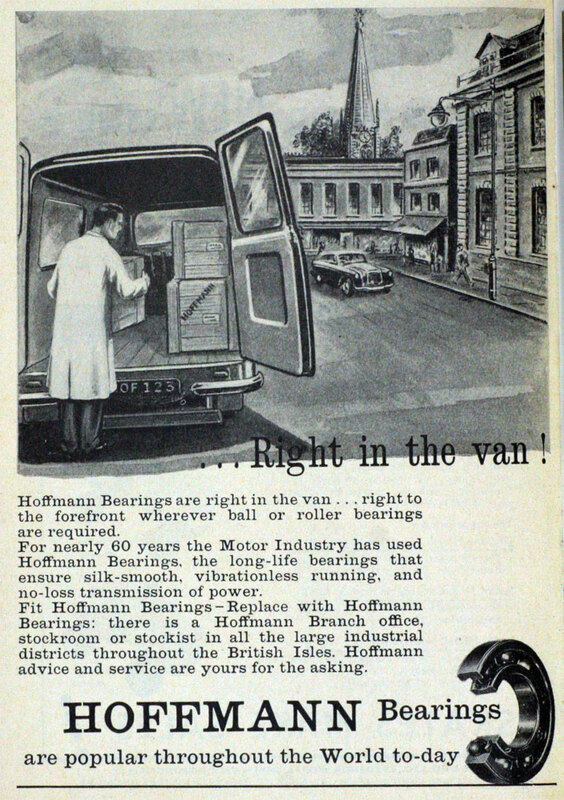 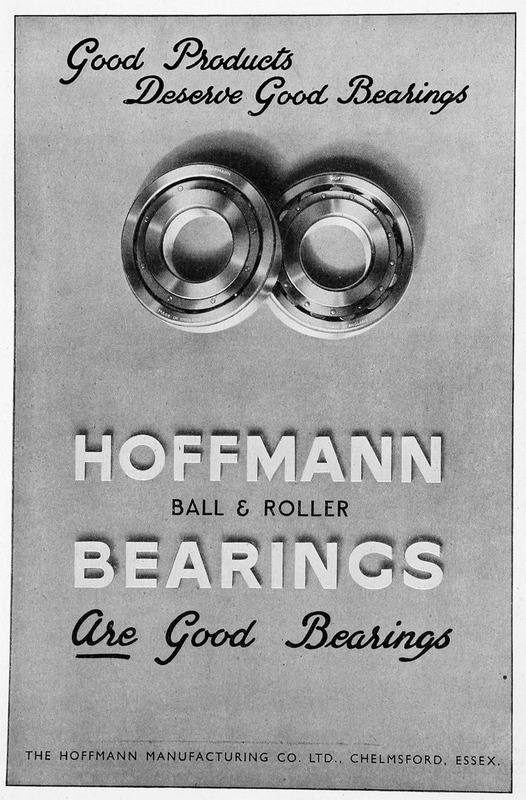 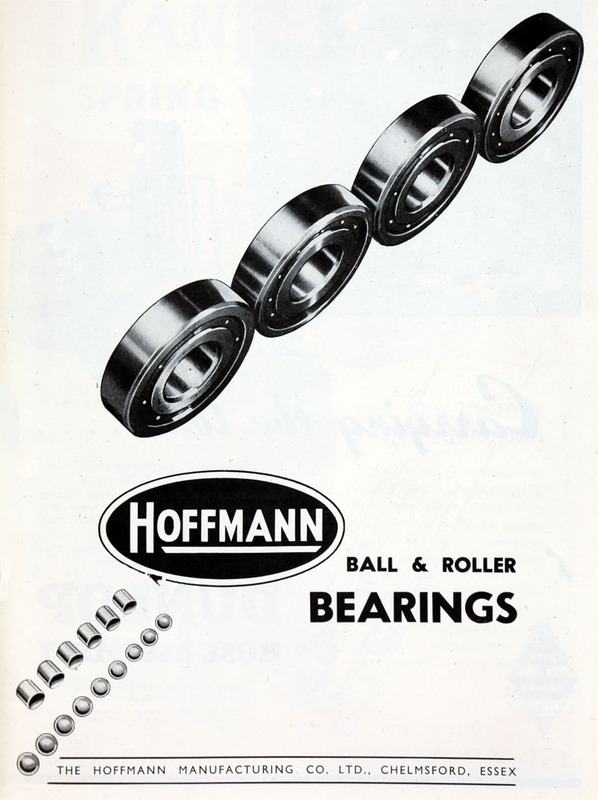 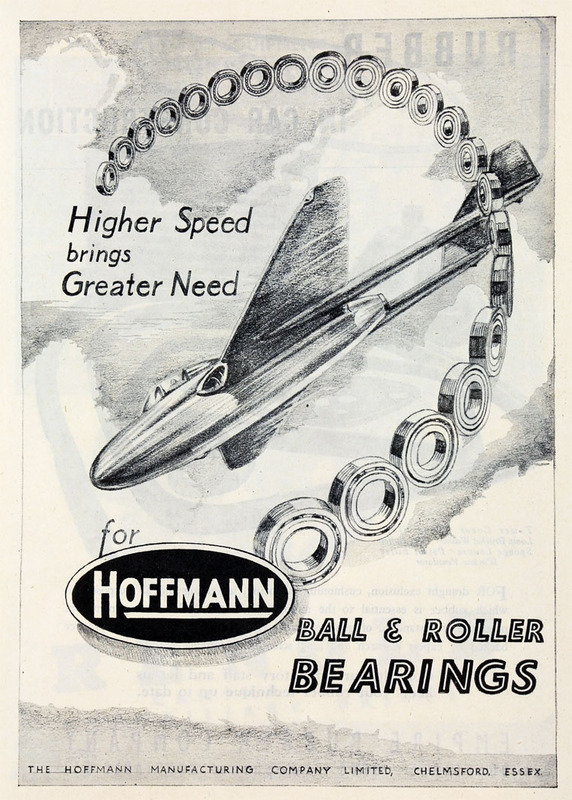 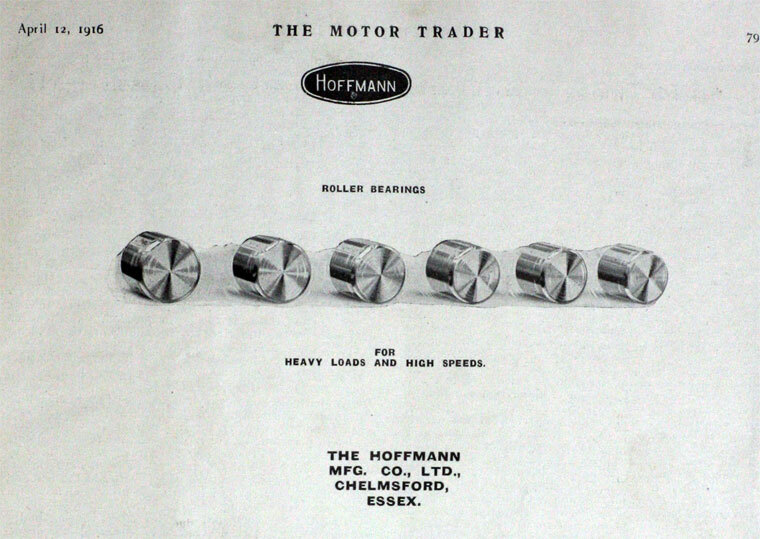 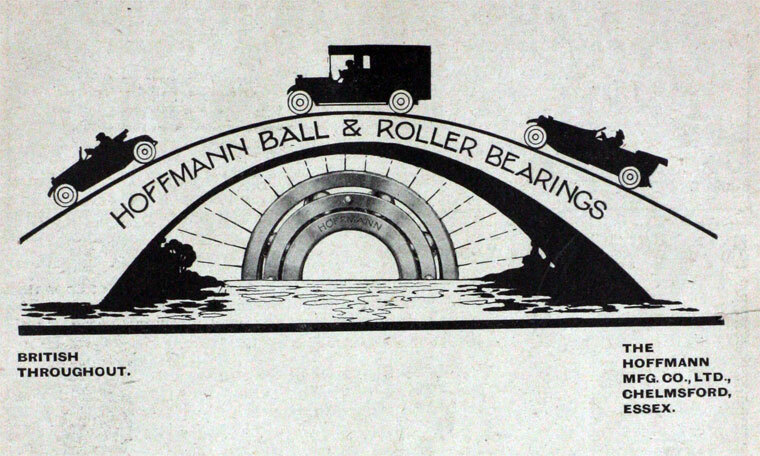 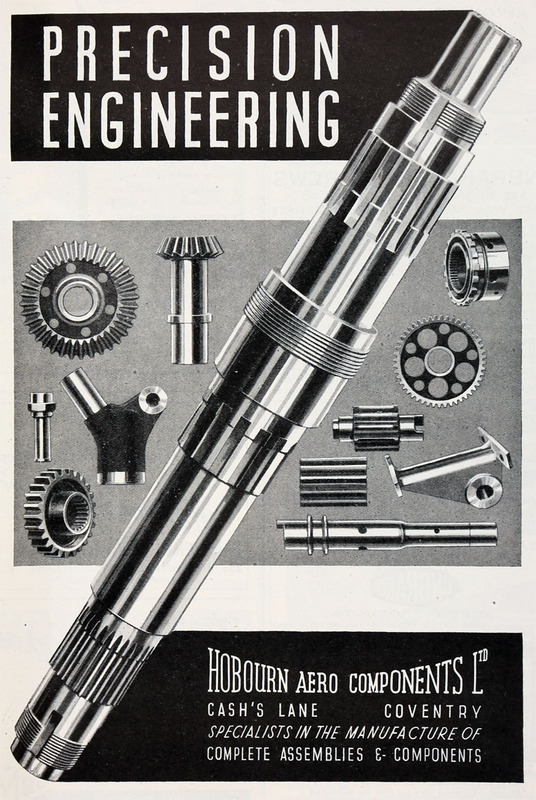 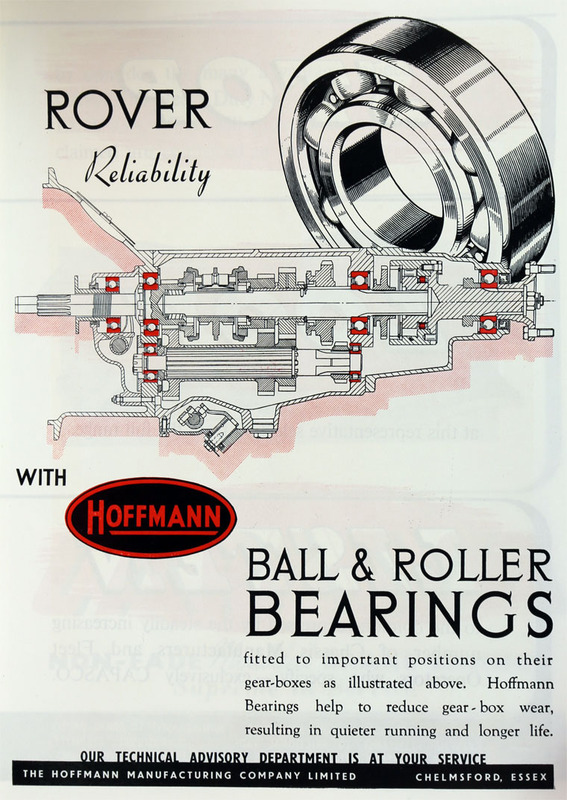 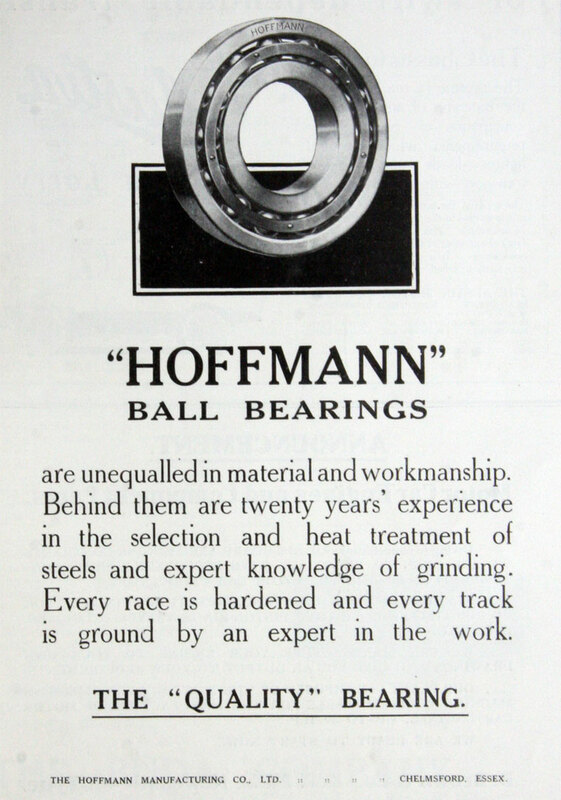 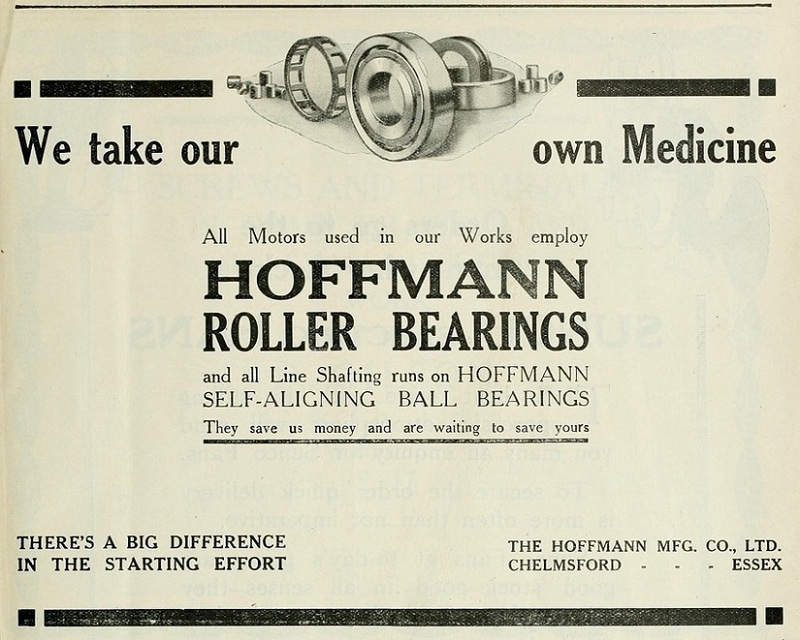 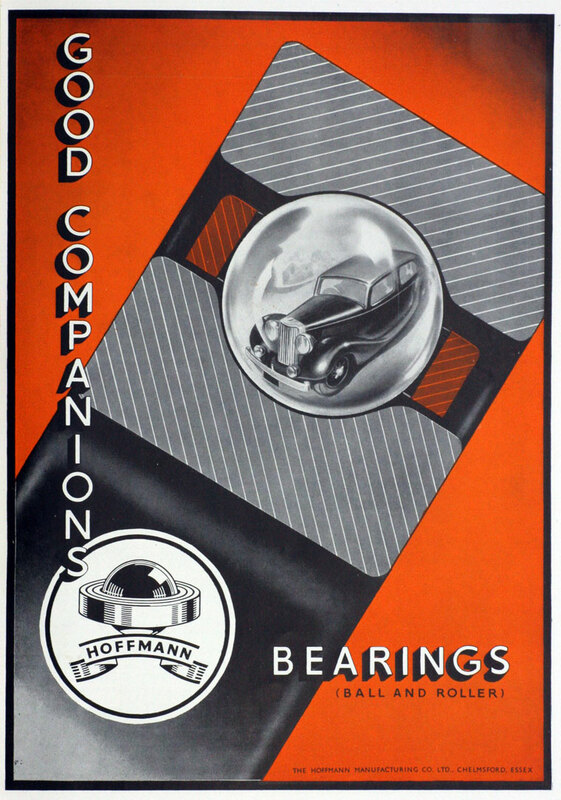 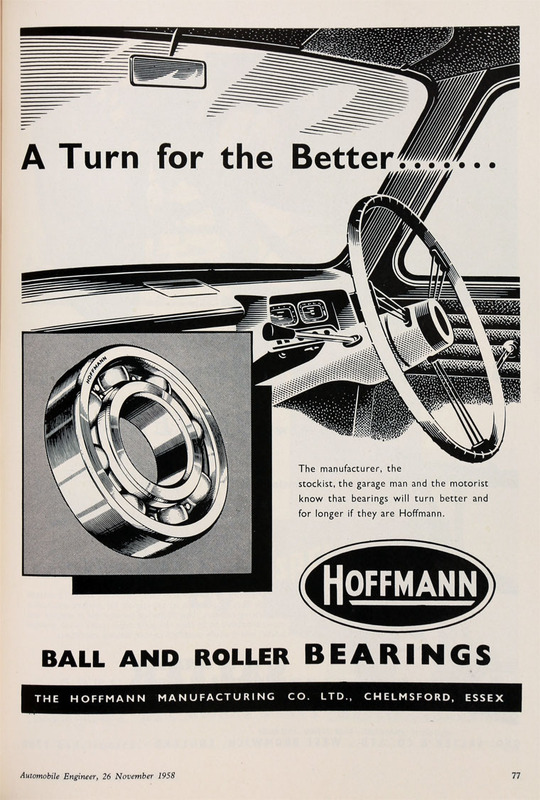 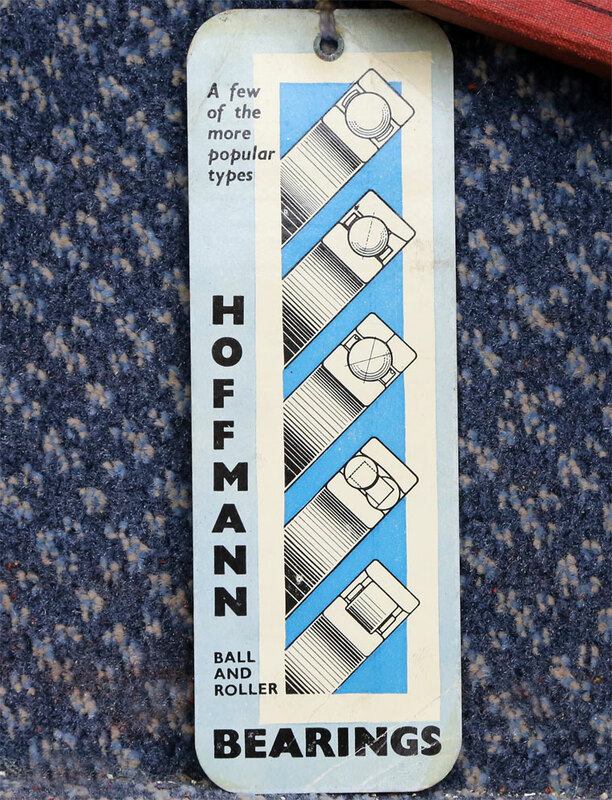 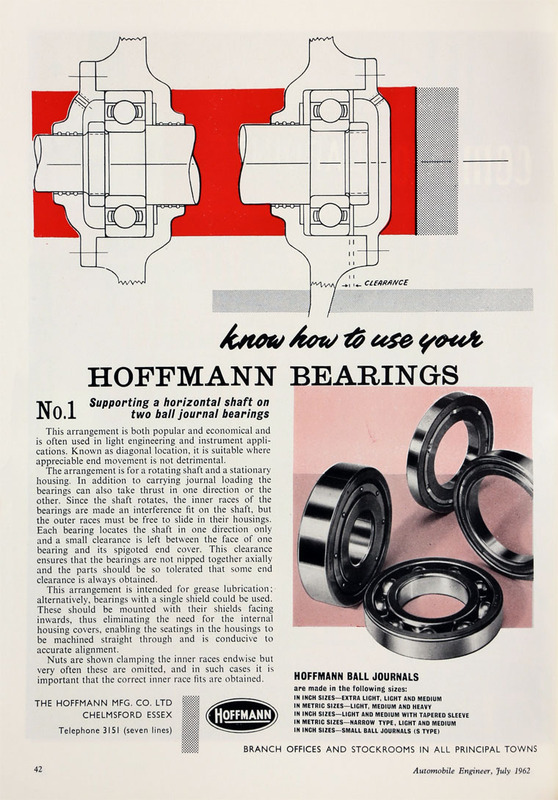 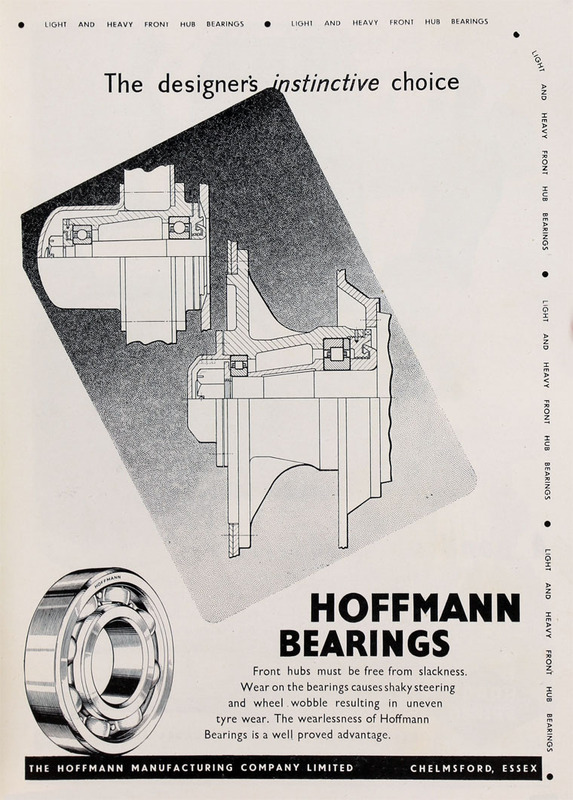 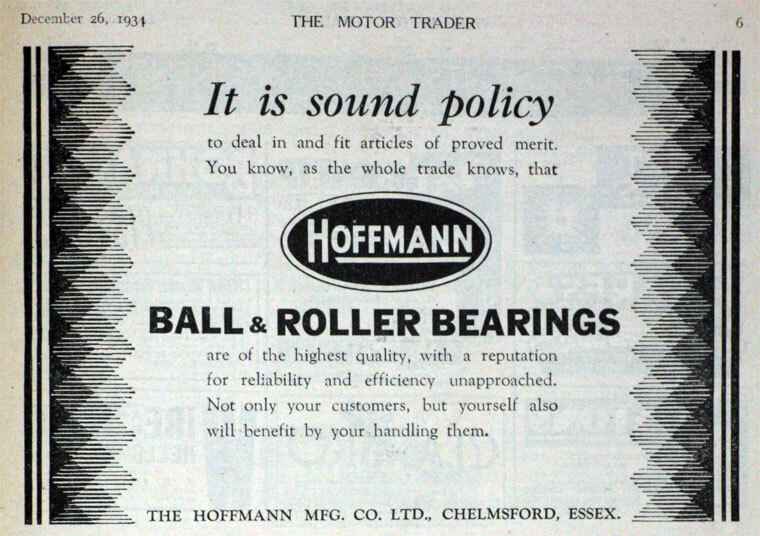 1961 Manufacturers of Hoffmann steel balls and rollers, ball and roller bearings. 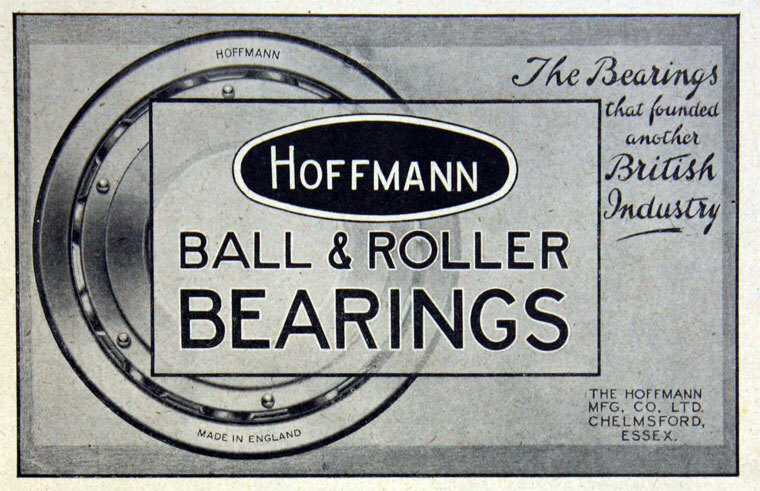 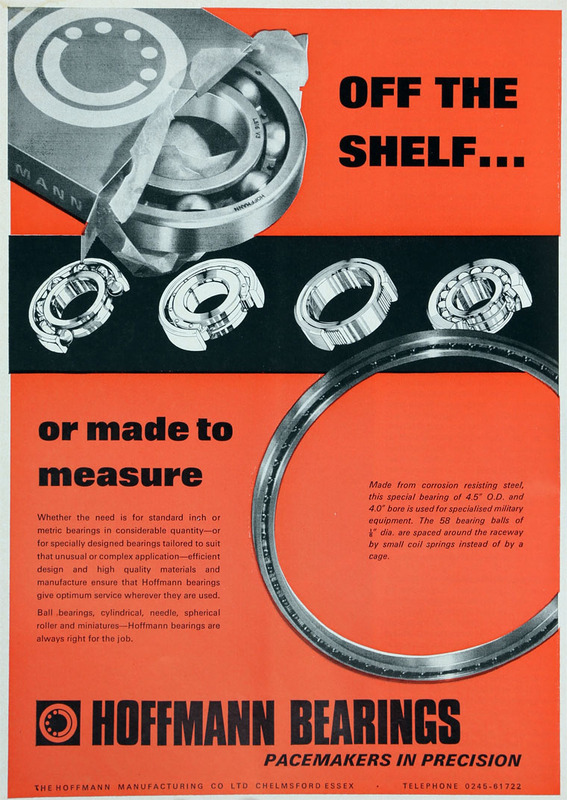 1969 The Industrial Reorganisation Corporation supported the formation of a new bearings group Ransome Hoffmann Pollard Co by amalgamating Ransome and Marles Bearing Co, Pollard Ball and Roller Bearing Co and Hoffmann Manufacturing Co. 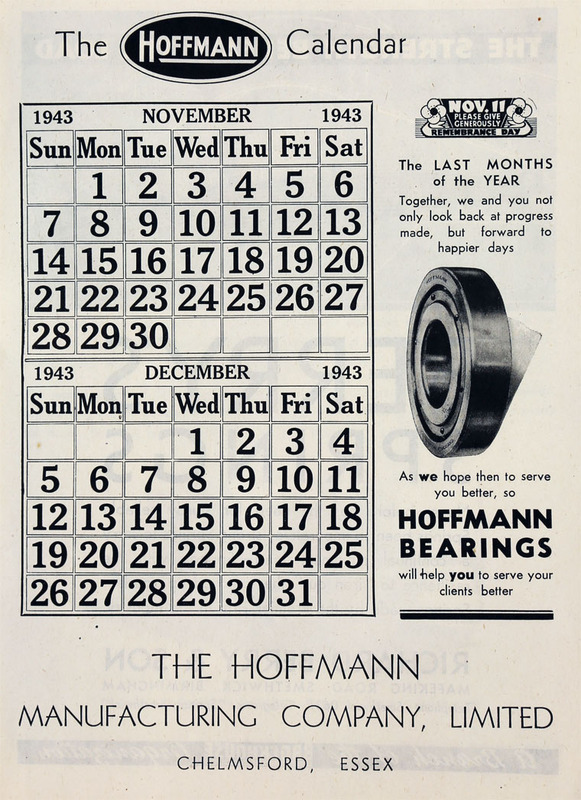 This page was last edited on 9 December 2018, at 17:28.